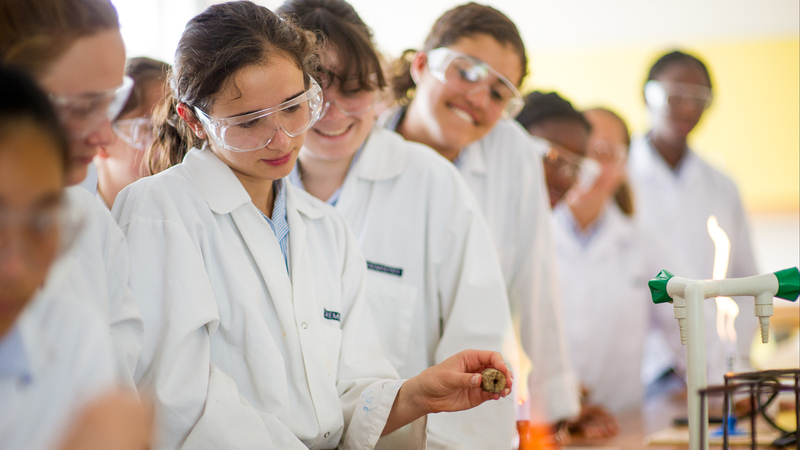 Wycombe Abbey enables girls to open their minds and to develop their personal passions. The learning environment is supportive, yet challenging, with a sense that pupils and their teachers are on an educational journey together. We pride ourselves on the outstanding teaching provided by our specialists who communicate a genuine love of their subject and serve to inspire the girls they teach. As the UK’s top girls’ boarding school we consistently achieve superb academic success. Our girls perform exceptionally across many different disciplines, achieving excellent results in public examinations. The GCSE and A level results for 2017/2018 were outstanding with 95.2% of all GCSE entries graded A*-A. At A level 84.3% were graded A*-A. Each year girls gain places at high-ranking universities on competitive courses. One third secure Oxbridge offers with the majority heading to Russell Group universities or prestigious Art, Drama or Music Schools. Increasingly girls are choosing to apply to universities around the world; US universities are proving particularly popular with offers coming from Columbia, Harvard, MIT, Princeton, Stanford and Yale. The curriculum provides a programme of study which is as broad as possible until the end of UV to enable girls to make well informed decisions about their academic futures. Later on there is the opportunity to specialise when choosing options for university. The UIII-UIV curriculum offers a comprehensive introduction to a wide range of academic, creative and technical disciplines. Girls study English, Mathematics, Science, languages (Latin, Greek and Modern), Computing and Humanities (Geography, History and Religious Studies) as well as Art, Cookery, Design and Technology, Drama and Music. PE and Wellbeing complete the offering and ensure that girls’ emotional, social and physical development are nurtured. We offer a large number of possibilities for subject combination at GCSE. We do not have predetermined option blocks and instead give girls flexibility to choose the subject combination which best fits their abilities, aspirations and personal passions. There are six compulsory subjects: English, English Literature, Mathematics, Biology, Chemistry and Physics. Girls also select four or five other subjects from a range of 15; at least one of those choices must be a modern language and another must be a Humanities subject. Our Sixth Form curriculum is designed to nurture individual interests and provide a solid foundation for university studies and the global work place of tomorrow. We do not have predetermined blocks at A level. The timetable is devised around a girl’s individual subject choices, no matter how specialised or diverse. Four A level subjects are chosen from 26 options. Girls may also choose the Extended Project Qualification. The subjects follow A level specifications, although Pre-U is offered for those girls studying Chinese and Pre-U French is offered to some girls as an alternative to the A level course. All girls in the Sixth Form follow a programme of enrichment, carefully designed to develop critical thinking, leadership and research and presentation skills. It also includes guidance on university applications, careers, and health and wellbeing. The study of Art develops creativity and confidence and gives girls a new language of expression. The expertise of our staff and technicians spans the artistic spectrum and includes in-depth knowledge of printing, textiles, digital imagery, painting and glass work. Girls gain first-hand experience working alongside our Artist in Residence who teaches and leads workshops. 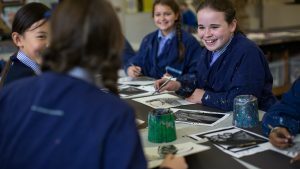 Pupils enjoy the opportunity to participate in specialist masterclasses such as an introduction to silversmithing techniques, wood carving, making mosaics and creating jewellery. The Department also supports the Architectural Society as well as the Art Society and Art and Craft Society which undertake projects such as marbling and tie-dying. Girls choose to participate in a number of competitions including the Saatchi Gallery/Deutsche Bank ‘Art Prize for Schools’ Competition, the Royal Academy ‘Young Artists’ Competition and School photography competitions. All pupils are also welcome to use the art workshops during the evenings and at weekends for recreational art, from making birthday cards to major creative projects. Every year trips are organised to visit art galleries in London and engage with contemporary artists. All the fundamentals of good practice are covered as girls learn independence and explore the possibilities of 2D and 3D disciplines. Work is undertaken in drawing, painting, ceramics, textiles, graphic design and mixed media with pupils discovering new areas in which to extend their knowledge. The AQA GCSE course encourages personal project work which develops problem solving and analytical skills. Practical skills continue to be honed and then applied to explore, experiment and refine chosen themes and ideas culminating in individual and original work. Artists and designers from a range of cultural and geographic backgrounds are referenced throughout. For the AQA A level course, pupils undertake rigorous, in-depth investigative work which instills a depth and breadth of knowledge and understanding. Curiosity and creativity are key in all aspects of research to develop original work. In the Sixth Form girls can also elect to take photography classes and participate in life drawing workshops. Biology is the understanding and appreciation of the intricacies of the natural world and how lives are transformed by developments in biotechnology. Girls develop key research and observation skills and learn how to present data effectively. All lessons are taught by subject specialists in one of the three well-resourced Biology-specific laboratories. Alongside the curriculum, pupils engage with a variety of clubs such as the Junior Science Club. Girls also take part in organised activities including lectures, Science Live and national competitions, for example the Biology Challenge and the Biology Olympiad. Recently, girls have had the opportunity to attend an Oncology Day at the University of Oxford where they explored a scientific approach to the medical field. Educational trips also take place and in the past they have included an UIII trip to Jersey Zoo and a Sixth Form trip to the Peruvian Amazon. 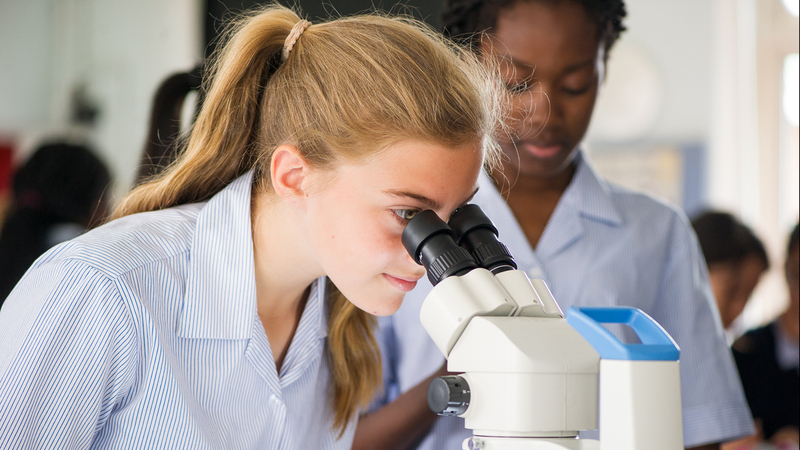 Pupils develop their understanding of how Biology influences their world through the study of life cycles, microscope use, sports science and health. They learn how to perform scientific investigations as they carry out dissections and monitor the spread of diseases. By the end of UIV girls have a fundamental understanding of biological principles and have started their preparation for the IGCSE examinations. The Edexcel IGCSE programme focuses on a variety of topics from the human organism to plants and the environment. As pupils complete practical investigations on enzymes and organs, they become well prepared should they choose to study Biology at A level. On top of this we aim to ensure that all girls are intellectually equipped with the knowledge needed to make informed decisions about topical issues such as genetic modification and climate change. For exams in 2019 and beyond, we will use the new IGCSE syllabus found here. The topics explored in the Edexcel course become more detailed in both breadth and depth and new fields such as bio-chemistry and epigenetics become central areas of investigation. We encourage pupils to start identifying the concepts that run through the subject and to understand how the different topics interact. Girls learn how principles studied in all three sciences are needed to appreciate how biological systems work from a molecular level up. Practical work is the heart of the A level course and pupils learn a variety of scientific techniques and the correct way to process and present their data and conclusions. Chemistry is the foundation of understanding the world. Through interactive teaching and weekly practical experiments, pupils develop advanced problem-solving skills as well as applied and theoretical knowledge of the subject. All lessons are taught in one of the three well-resourced Chemistry-specific laboratories. 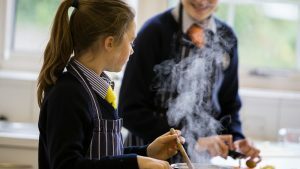 The enrichment activities for Chemistry include clubs such as the Junior Science Club and Sixth Form Science Club where girls make bath bombs, edible cinder toffee and aspirin as well as growing crystal ornaments and conducting flame tests. Other opportunities include lectures in School and trips to national conferences such as the ‘Chemistry in Action Day’ and Science Live. Pupils may also work towards the CREST Awards – Bronze and Silver. 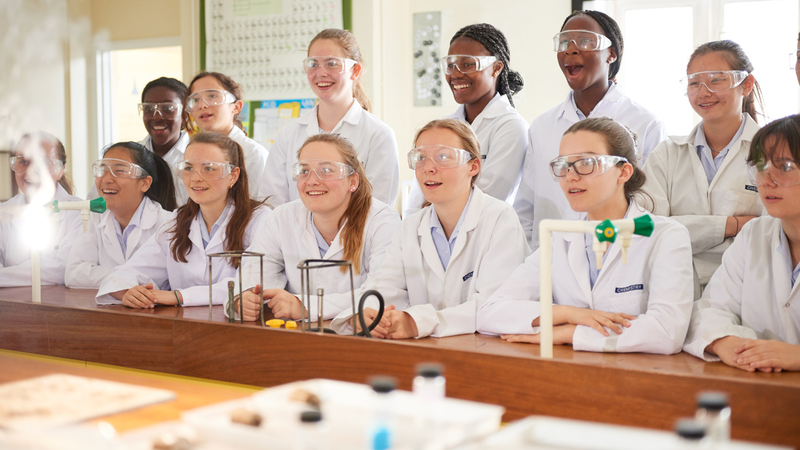 Every year, girls have the opportunity to enter a wide range of competitions including Salters’ Chemistry Competition, Top of the Bench, Oxford University Oncology Department Video Competition, Cambridge Chemistry Challenge and the Chemistry Olympiad. Pupils are able to develop their science-based enquiry skills in a range of chemical contexts and there is a strong emphasis on practical competence. Girls take part in laboratory work every lesson as they learn about a variety of subjects from solvents and the separation of mixtures to natural resources and atomic structure. By the end of UIV pupils will be confident learners who are capable of suggesting and carrying out experimental work to answer chemical questions. During the Edexcel IGCSE course, a rigorous foundation is laid down from the perspective of the nature of matter and chemical reactions. Pupils study topics such as bonding structure and industrial processes and explore methods of extracting metals. The emphasis is on problem-solving and analytical skills, mathematical manipulation and linking the theoretical to the experimental. Find the IGCSE syllabus here. The theories explored at IGCSE become more nuanced in the OCR A level course. Pupils develop a more subtle understanding of the balance between attraction and repulsion forces and their role in determining chemical reactivity. Mathematical skills become especially important with pupils studying rates of reaction as well as discovering physical evidence for reactions. There is a continued emphasis on learning through practical tasks and their subsequent evaluation. The course becomes very collegial in nature and pupils are exposed to, and encouraged to seek out, everyday developments in Chemistry. Chinese is an official language of the UN and International criminal court and is a priority language for the Foreign and Commonwealth Office. Studying the subject opens doors into these fields and gives girls the opportunity to broaden their cultural and linguistic knowledge. The Department consists of experienced and enthusiastic teachers who specialise in Mandarin and Cantonese. Beyond the curriculum, the Department organises a slam competition and girls have the opportunity to enter a non-fiction writing competition. The course begins in UIV when foundations are laid. The aim of the class is to promote confidence both in speaking and writing, as well as establishing a firm basis in grammar and vocabulary. Classes include a weekly session in the Language Laboratory as well as a conversation lesson in groups of up to four pupils. Girls learn to speak and write about themselves and the immediate world around them. In the Edexcel course, girls study a range of topics relating to their own life and choices. They learn to cope with increasingly spontaneous dialogues and to discuss relevant issues, expressing their opinions creatively. The weekly conversation classes continue from the previous year and are focused on exam preparations. Find the current GCSE syllabus here. For exams in 2019 and beyond, we will use the new syllabus found here. Topics in the PreU course are based on Chinese current affairs as well as personal reactions to events. The course involves the critical study of a period of history and of a piece of literature. Girls’ oral and research skills become increasingly refined as they develop analytical skills and complete a written essay. Find the PreU syllabus here. Classics is the study of the language and culture of the Ancient Greeks and Romans. Girls learn the subtleties of close analysis and puzzle solving as they gain a rigorous understanding of these early civilisations. Teaching staff bring the topics to life with a variety of specialisms including philosophy, linguistics, history and literature. The Department runs the Junior Classics Society which involves film nights, mosaic competitions and Roman baking events. For older girls, lectures are held at School featuring visiting speakers such as Professor Simon Goldhill and Dr Bruno Currie and all girls are able to enter essay competitions which are both internally and externally judged. Trips to Roman Bath and international sites of classical interest, such as Pompeii and Athens, run to complement the curriculum and pupils have the opportunity to see regular plays in Stratford-Upon-Avon and High Wycombe. Each year, girls also travel to Cambridge to enjoy the experience of seeing a play performed in Greek. Pupils are introduced to both Latin and Greek and develop their understanding of the grammar and syntax of both languages. This linguistic challenge greatly improves their analytical and problem-solving skills. Alongside this, they explore the worlds of Greek myth, Pompeii, Roman Bath and Alexandria, in order to go beyond the language and understand the people who spoke it. The subject is widely accessible and broadens the girls’ knowledge of history, philosophy and art. With increased linguistic confidence, pupils taking the OCR course begin to explore texts written by Classical authors, such as Tacitus, Herodotus, Virgil and Homer in the original language. Girls develop their analytical skills and are encouraged to comment stylistically on selections of prose and verse. Readings of this literature are enhanced through a greater focus on the wider historical context. In the OCR A level course, pupils go into substantially more depth, both linguistically and analytically. Making use of their solid foundations in both languages, they identify the mechanics of a sentence and are encouraged to translate more idiomatically. A more holistic approach is taken with the literature; pupils study four separate texts, from four different genres, over the course of two years and they develop a broad expertise across a range of areas. Classical Civilisation, the study of texts in translation, sculpture, art and wider topics not covered in either Latin or Greek, is also offered. It is a unique challenge, which offers an extensive breadth of study for all pupils, including those with no previous experience in Classics. Computer Science inspires computational thinking, the use of creative coding and an understanding of technological innovation. Our computer labs incorporate the latest technology from micro:bits to robots, and are supported by an expert team of IT specialists looking after our network. The Department uses its links with some of the best universities and industry leaders in the field to organise a selection of talks, seminars and trips. Recently, a computer engineer from Intel delivered a talk on driverless cars which led to a discussion on software requirements and ethical implications. 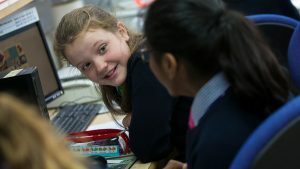 A scientist from Deloitte Digital has also led seminars on her work in Computer Science and the Department ran a whole-day workshop on 3D printing, allowing the girls to make their own key rings. Trips are run every year to Bletchley Park as an introduction to codebreaking. Girls are able to expand upon what is learnt in the classroom through the Computer Club which encourages a deeper understanding of electronics and software as well as experimentation with Raspberry Pis, drones and the 3D printer. Pupils choose to enter competitions such as the National Cyber Security Centre’s CyberFirst competition and the University of Oxford’s Bebras challenge. In the past, girls have achieved particular success solving codes in the Alan Turing Cryptography Competition. In weekly lessons, we teach the girls to be responsible, knowledgeable and creative digital citizens. They learn how to use current and emerging technology in a safe and responsible manner. Computational thinking is a key skill that they can apply to many problems outside the subject. Pupils gain an understanding of simple Boolean logic and its uses in circuits and programming and how numbers are represented in binary. Coding skills are developed to enable entry to our GCSE programme and girls create and repurpose digital artefacts for specific audiences. The CIE GCSE course in Computer Science is an excellent opportunity to investigate how computers work and how they are used, and to develop computer programming and problem-solving skills. Girls consider how changes in technology affect safety and study new ways to protect their online privacy and identity. An understanding of primary, secondary and off-line storage is developed along with key problem solving and algorithm design skills. 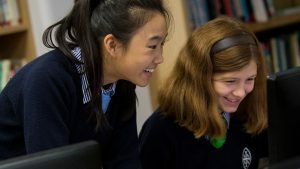 The OCR A level Computer Science course inspires and challenges girls to apply the knowledge they have gained of creative and technical skills. The girls study the components of a computer and their various uses, how data is stored within different structures and advanced Boolean algebra. Computational thinking and programming features are a core thread throughout the course. Cookery provides girls with the nutritional understanding and kitchen skills vital to prepare them for the future. Many of these skills are practised in the boarding houses with friends and house staff for evening and weekend activities. Basic skills are learnt in the early years, moving through to professional food and wine courses in Sixth Form. Cooking from scratch, safety in the kitchen and an awareness of healthy eating habits are promoted at all levels. Pupils of all ages are able to take part in optional cookery workshops where expert chefs inspire girls to explore new dishes and have fun when cooking. The Department also runs an annual trip to the Waterside Inn in Bray. Pupils are encouraged to discover the pleasures of cooking and to prepare food with confidence. Practical skills are developed and girls are taught everything from how to hold a knife to how to present fine dining and make soufflés. The level of teaching is outstanding and learning from international-level chefs, girls are given the organisational skills and poise to experiment with panache. As they begin to live more independently, all girls in the Upper Sixth take part in the Clarence cookery course which introduces them to safe and nutritious cooking. Girls also have the opportunity to complete the industry-recognised Leiths Introductory Certificate in Food and Wine. Pupils who embark on this course develop skills to a professional level, cooking three-course meals and exploring new dishes and wines from around the world. Design Technology provides pupils with creative opportunities to design, develop and manufacture their own concepts in a safe working environment. Utilising computer design programmes, laser cutters and bandsaws, girls thrive on the experience of creating their own projects. During the evenings and at weekends all girls can use the Design and Technology facilities to develop their own personal work and discover new areas of the subject such as pewter casting. The Department runs the Greenpower Car Club where girls design and build their own car from scratch, eventually racing the vehicle against other competitors on a real racing track. Trips to visit exhibitions and designers’ workshops are organised for those interested in learning about Design Technology in the commercial world. Pupils learn the foundations of Design Technology through undertaking a range of projects incorporating Computer Aided Design and Computer Aided Manufacturing. New manufacturing processes involving wood, metal and plastics are explored to produce products such as furniture and decorations. This develops a strong knowledge base and confidence in the workshop to work with a range of software and manufacturing machinery, as well as more traditional tools. Drama encourages growth in confidence and the development of valuable core life skills such as teamwork, negotiation and communication. 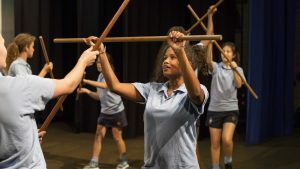 Girls are able to take part in performance opportunities throughout their time at the School and learn to write, design, direct and market their own plays. Each year the UIII and LIV take part in a joint production and the LV enjoy an inter-house play competition. The Sixth Form play is also produced annually and is directed by the Head of Drama. The Drama Society stage their own production which is written, directed and performed by girls of all ages. Speech and Drama is taught in small groups to girls working towards LAMDA examinations, with an emphasis on co-operation and creativity. 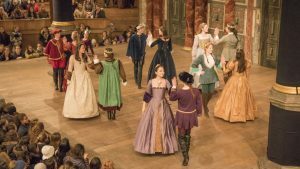 The Department runs termly trips to see plays at theatres in Oxford, Stratford-Upon-Avon and London. 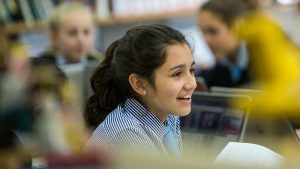 Pupils cover a range of topics, texts and genres in UIII to UIV, all of which are designed to challenge and engage the pupils and to encourage them to work collaboratively and creatively. 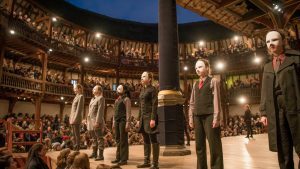 The UIII will work on scenes from ‘Twelfth Night’, devise their own work based around myths and legends and study Greek theatre and Commedia dell’arte in the first year at Wycombe Abbey. Drama is particularly important for UIII pupils in terms of ‘breaking the ice’ in September and asking them to work effectively (and have fun!) with their peers as they start their careers at Wycombe Abbey. The Drama department also offers a wide range of extra-curricular opportunities from UIII through to UVI. There are a variety of productions for all year groups to be involved in throughout the year as performers, or backstage/as technical support for the shows. Parents are warmly welcomed to join us to watch many of the performances throughout the year. There is a drama society that pupils can join and girls are also given the chance to go on trips to the theatre as often as possible. In addition to this, pupils can take extra lessons in graded LAMDA examinations from the LIV upwards. Drama can be pursued as an exam subject after UIV and is a popular GCSE choice. Girls in UIV will be given information on how the Drama GCSE is comprised and some of the work covered in UIV is designed to replicate some of the GCSE specification. We now use the Eduqas exam board at GCSE which uses 1-9 grading. The course is 60% practical and has a written exam at the end of UV worth 40%. Pupils at GCSE are expected to devise their own drama pieces, perform a scripted piece for an examiner, study a set text (from a list provided by the board) and also develop directorial, analytical and evaluative skills. We will see at least two productions during the GCSE course and girls must answer one exam question on one of the productions we see together. For an overview of the GCSE specification click here. At A level, girls have absolute ownership over their own choices, work and outcomes; they become their own directors and create their own ensembles of actors. Pupils also develop highly sophisticated writing skills and produce their own interpretation of a play or selected text. There are several performance opportunities as well as the chance to contribute on the technical side of theatre whether that be sound, light, set design, prop making, costume, hair or make up. An understanding of economics helps to create global citizens of the future who understand and can problem solve the major economic issues of our times. Girls develop both a theoretical understanding of economic models as well as real world application to understand both microeconomics and macroeconomics. The Department supports the Economics Society and the pupil-edited magazine, The Wyconomist, which is distributed to the School’s community and includes articles on world economics and politics, as well as analyses of local shop prices. Girls of all ages enjoy the Business Breakfast Club which meets every week to discuss the latest news. Recently, staff arranged for Martin Cox from the John Locke Institute to give a talk at the School. Pupils also have the opportunity to take part in a selection of competitions including the Royal Economics Society essay competition and the Bank of England Target 2.0 competition. Girls in LVI take part in the Institute for Fiscal Studies Share Challenge which allows them to invest £100,000 of virtual money in the real stock market for three months. In the Edexcel course, pupils focus on the concept of choice as a major economic factor and consider the impact these choices have on the wider market. Girls develop an understanding of budgets, how prices are set by firms and the inner workings of contemporary business. The course equips economists with a knowledge of theoretical and practical processes. The study of English is all about discovery and the pleasure to be found in reading and pursuing new ideas. It involves all the techniques and skills needed for lucid, accurate communication and is critical for a successful education. The teaching staff communicate the enjoyment and appreciation of literature through their diverse specialisms and interests. Complementing the curriculum, seminars, lectures and talks are planned throughout the year with guests such as actor Natalie Simpson speaking on her career and Bethany Lane sharing thoughts on the poetry of Plath. The School newspaper, The Publication is edited by pupils and overseen by the English Department. Girls apply their writing and public speaking skills in a selection of competitions including the School Poetry Declamation competition, the national ‘Poetry by Heart’ competition and the Short Story Writing competition. In the past, pupils have presented academic papers to students at Harrow School. 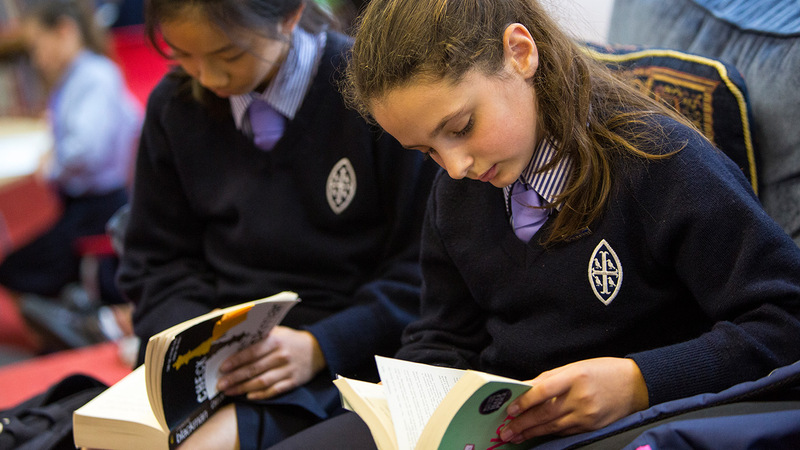 Pupils enjoy the opportunity to take part in their own Carnegie and Booker awards ceremonies as well as a selection of Book Clubs focusing on titles including Go Set a Watchman, Nutshell and Capital. Each year, one girl is selected as the Poet Laureate and she becomes responsible for responding to school and world events through her own poetry. The Department also runs numerous theatre trips throughout the year to plays such as The White Devil, 1984 and Romeo and Juliet at Shakespeare’s Globe. Residential trips run to sites of literary interest such as Wordsworth’s Dove Cottage, the Brontë Parsonage and a Yeats Tour of Ireland. Our UIII-UIV curriculum aims to develop core comprehension and composition skills, doing so alongside the study of a range of accessible and engaging poetry, prose and drama. Girls explore topics through a range of collaborative and personal projects while learning to write their own poetry, analyse plays and understand character development in novels such as Frankenstein, The Tempest and Holes. The differences between books and film adaptations are explored as media becomes an increasingly important part of the English language. During the CIE IGCSE course, we focus in greater depth on developing the analytical skills required as a critic of literature, exploring one novel, two plays and a selection of poetry in-depth. The Department values going ‘beyond the syllabus,’ enriching the study of examined works such as Of Mice and Men and Mansfield Park with a variety of other texts to provide greater contextual appreciation. Find the IGCSE English Literature syllabus here. Find the IGCSE English Language syllabus here. Our Sixth Form OCR curriculum offers even broader study, ranging from contemporary plays and novels to Shakespeare’s plays and Milton’s poetry. Developing an appreciation of the background to these writers, along with exploring the views of critics and other readers, ensures that girls’ understanding of the literature they encounter is rich and nuanced. The perspectives of post-modernism and romanticism are also used to inform contextual comparison as pupils refine their analytical prowess. Studying French opens up many social, cultural and professional opportunities with French speaking countries representing the UK’s third biggest export market. Through studying poetry and song, girls discover that French is fun and interesting and they develop verbal fluency and sophisticated writing skills. Pupils are encouraged to take part in slam and debating competitions as well as the Oxford University Essay competition. The Department also offers a wide range of activities from trips to film festivals and lectures with high profile linguists such as BBC commentators and industry leaders. The French course is devised to help girls understand both the language and the mindset of the French. In weekly sessions in our Language Laboratories we teach both a technical approach to translation and a more communicative approach to the language. Girls expand their vocabulary to discuss hobbies, places and health issues. Pupils tackle more difficult societal issues such as unemployment, the environment, school life versus social life and the impact of technology in our daily lives. Originality and creativity become more important and an awareness of current affairs is fostered through the study of news items and the independent research sessions required for speaking tests. The examination of French culture expands to consider the French speaking world and its traditions. At A level and PreU, we continue to study, through presentations and discussions, themes relevant to adolescents such as radicalisation, the purpose of the UN and the contributions made by the Arts and Sciences in today’s society. Verbal and reading skills are refined to the point where pupils become near native speakers and can analyse classical French literature. Geography is central to our understanding of the physical landscape, its human inhabitants and the interactions between the two. Through studying the subject, girls are equipped to understand and thrive in the modern world. Department staff focus on real events and current issues, sharing from a range of specialisms from plate tectonics to the representation of place and space, and global development. Geographers take part in activities with the Geography Society, and girls attend lectures at Wycombe Abbey and Eton College. In the past, guest speakers have given talks on humanitarian aid, expeditions and mapping census data. The Department also provides subscriptions to magazines such as The Geographical and the Geography Review and girls of all ages are encouraged to follow their own lines of enquiry. A wide variety of trips take place throughout the year including a Sixth Form visit to study urban landscapes in London, a field trip to learn about coastal features at Westward Ho!, Devon and a practical fieldwork trip to the Lake District. In addition, international trips are run to experience differing landscapes in Western USA and glacial features in Iceland. In UIII we delve deeply into important global issues and explore maps and our local area, as well as fundamental physical processes such as rivers, flooding and plate tectonics. Pupils consider the effects of changes in the climate and to what extent tourism is a force for good. During this Key Stage, girls also focus on current world politics and issues such as natural disasters and population growth. The Edexcel IGCSE course focuses on a broad mix of physical and human geography, including fieldwork investigations and creating enquiries into hazardous environments and changing urban environments. Economic activity becomes especially important and the development of human welfare is explored from all angles. We also run a residential field trip, where we explore the landscapes we have been learning about through observation and analysis. The A level course is a chance to look at the bigger picture of both the physical and human geographies we have been learning about over the years, seeing how large-scale cycles affect our physical world, and how space and place are central concepts to the study of human geography. We also focus on key geographical themes, including glacial landscapes, and the geography of disease. A central part of A level Geography is the personal independent investigation, where pupils focus on a part of Geography that most interests them, setting hypotheses, carrying out primary and secondary research and, through detailed analysis, drawing original conclusions. Find the current A level syllabus here. Studying German opens opportunities to the language, culture and marketplace of three leading European nations at the very forefront of science, technology and business. Around a quarter of the people in the EU speak German as their native language. The Department organises debating competitions and enters girls into poetry, short story and film competitions as well as the Oxford German Olympiad. Pupils also engage in political discussions at the News Club and take part in the German Film Day hosted in London. Regular theatre trips are available. This is a fast-track course to lay the foundations of German vocabulary and grammar with the aim of promoting confidence in both speaking and writing. Classes include a weekly session in a Language Laboratory and girls are encouraged to take an interest in aspects of German culture. In the Edexcel IGCSE course, girls study a range of topics related to their own lifestyle and choices and that of other people, especially those in German speaking countries. They learn to cope with increasingly spontaneous language, to discuss issues and to express their opinions creatively. Classes are supported by weekly conversation lessons in small groups to promote oral fluency. Topics in the A level course are based on a broad range of topical issues and current affairs related to German speaking countries. The course involves the critical study of German films and/or works of literature. Oral skills become increasingly refined and the ability to conduct detailed independent research is a key requirement throughout. Girls become self-motivated in their study and develop a unique level of creativity and precision. For exams in 2018 and beyond, we will use the new syllabus found here. The study of British political systems and political ideologies develops analytical ability and communication skills. Girls gain a critical awareness of the relationship between political ideas, institutions and processes as well as an informed understanding of contemporary political structures and issues in their historical context. Politics lessons generally involve much lively debate and individual opinions, both of which are very much encouraged. Girls learn to listen carefully to alternative views and incorporate these ideas into their own arguments. The junior and senior Politics Societies are very popular and host school-wide votes on current topics as well as organising events such as Wycombe Abbey’s own ‘Question Time’. The Department arranges talks from visiting speakers including MPs, MEPs and Members of the House of Lords as well as debates with other schools such as the Royal Grammar School, High Wycombe and John Hampden Grammar School. There is also an opportunity to attend a yearly Sixth Form Politics Conference in London. The A level course focuses on government and politics in the UK and on global political ideologies. Girls explore the ideas of key political thinkers and focus on core philosophies such as Conservatism, Liberalism and Socialism. The course instils pupils with the ability to interpret and evaluate political information critically and to form rounded arguments and mature judgements. The broad History curriculum challenges girls through a variety of British, European, and world history. Girls learn to think, write, and articulate opinions analytically, and develop critical skills in evaluating texts and evidence. Work is often tackled collaboratively and through examining fascinating content from the past, pupils gain valuable wisdom about the world. Aspiring historians join the junior and senior History Societies where they take part in on-site treasure hunts and re-enact historical events. Girls contribute towards the three different school journals and magazines and the Department provides access to a variety of additional academic journals and light-hearted publications such as The Plague. Girls are also supported to take part in national competitions and engage with local history projects such as the ‘Tell Them of Us: Wycombe and Somme’ event which organises tours of local cemeteries in conjunction with Wycombe Museum. The Department organises a comprehensive selection of events including ‘University Challenge’ and even a cookery competition named the ‘Great Historical Bake Off’. Previous speakers have included the renowned historian Andrew Roberts. Relationships with other schools are built with events such as the Junior Schools History Competition. Pupils learn about medieval China and medieval Britain, the European Renaissance and Reformation, Tudor/Stuart Britain, the British Empire, slavery, Industrial Revolution, suffrage reform and the First World War. Courses balance enquiry-driven learning about important periods and events with developing a sense of chronology and an understanding of British history. Girls study exciting and important courses on Weimar and Nazi Germany and international relations 1919-2000 in the GCSE Edexcel curriculum. Pupils are equipped with an understanding of the crucial events, developments, and ideas of the 20th century, an ideal preparation for being informed citizens of the 21st century. In the AQA course, girls study fascinating and diverse courses on Stuart Britain 1603-1702, revolutionary and Stalinist Russia 1917-1953, and a centre-designed coursework programme on British relations with India 1845-1947. By the end of Upper Sixth, girls will have developed sophisticated source interpretation skills and the ability to write persuasive and original lines of argument. Studying History of Art provides a unique insight into the history, ideas and culture of different societies across the globe, spanning from the ancient world to the present day. An array of specific paintings, sculptures and buildings are studied in great depth so that all pupils know a Monet from a Michelangelo and the Renaissance from the Rococo. The Department offers a wide range of enrichment activities and opportunities for pupils to see art and architecture at first hand. The History of Art Society holds termly lectures from invited speakers. Recent talks have included ‘Michelangelo’s influence on 20th Century Artists’, ‘Francis Bacon and the Modernist Self’, and ‘The Real Downton Abbeys’. Girls are encouraged to enter national competitions including the prestigious Roche Court ARTiculation public speaking competition and the SPoKe art history video competition. There is a bi-annual trip to Florence and Rome which looks at a large number of works studied in the A level course including visiting the Uffizi Gallery and Vatican Museums alongside hidden gems such as the Brancacci Chapel and Villa Borghese. Regular excursions are run to London museums and galleries such as the National Gallery, the Victoria and Albert Museum and the British Museum. Girls are also invited to attend the Association of Art Historians annual ‘Ways of Seeing’ conference. Each year a number of girls choose to pursue History of Art at university and recent leavers have gained offers from a range of illustrious institutions including Oxford University, University of Cambridge and the Courtauld Institute of Art. Studying the Edexcel History of Art course develops pupils’ understanding of the relationship between: society and art; art historical terms; concepts and issues; the influence of cultural, social and political factors; developments in materials, techniques and processes of both art and architecture over time. The LVI course begins by developing the core skills of visual analysis, allowing girls to use technical terminology and identify the formal features of any painting, sculpture or building they encounter. Two themes are then explored: ‘Identities in Art and Architecture’ and ‘Nature in Art and Architecture’. The first considers how art and architecture have been used to express identity, be it status, character, gender, nationality or ethnicity. Artists studied include Rembrandt, Grayson Perry, Frida Kahlo and Vincent van Gogh. The second theme looks at how nature has provided a source of inspiration in art and architecture and how natural materials have been used across time and place. Artists studied include J.M.W. Turner, Claude Monet, Hokusai, and Frank Lloyd Wright. In the UVI pupils explore two key art historical periods in depth, developing their own research skills and using critical texts. ‘Invention and illusion: The Renaissance in Italy (1420-1520)’ explores a period of extraordinary artistic achievement focusing on artists/architects such as Botticelli, Brunelleschi, Donatello, Leonardo da Vinci, Raphael and Michelangelo. ‘Power and persuasion: The Baroque in Catholic Europe (1597-1685)’ investigates the artistic response to the political and religious turmoil of age in the Italian states, France, Spain and the Spanish Netherlands through the works of artists such as Caravaggio, Rubens, Velazquez and Bernini. Giuseppe Baretti said in the 18th century that “talking about a country without first knowing its language is like making soup in a basket”. Italy has one of the richest heritages in the world and learning Italian is fundamental to understanding and experiencing Italy’s culture, society and history. The School offers an AQA GCSE course for girls in the Sixth Form. The course builds on the girls’ Latin and French and focuses on demonstrating how Western cultures are linked. Mathematics is brought to life with illustrations, examples and practical demonstrations of mathematical concepts. This essential subject is taught to a high level in all year groups with the opportunity to continue at A level and enjoy the challenge of Further Mathematics. Pupils develop the ability to think logically, solve problems and work collaboratively with their peers. The Department consists of highly qualified teachers covering a full range of specialist mathematical areas including statistics, mechanics and pure mathematics. The staff are supported by four one-to-one tutors. 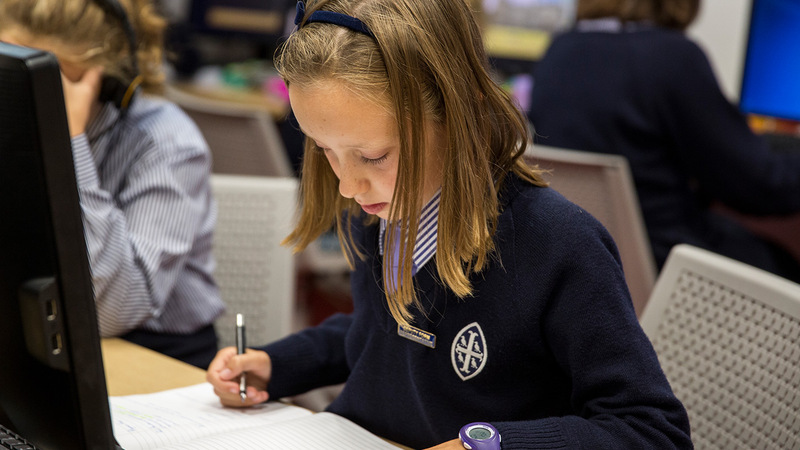 Girls have the opportunity to become involved in various competitions such as the Maths Olympiad for Girls, the Bristol Mathematical engineering challenge and competitions with the UK Maths Trust. 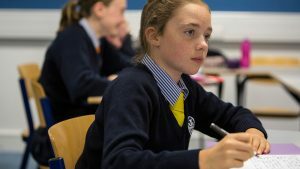 Individual mathematics challenges are also held for the junior, intermediate and senior categories, and girls have achieved success at a national level. The Department supports the pupil-led Maths Society which hosts treasure hunts and film nights for the younger girls. Lectures on applied mathematics are also organised with speakers from Queen Mary University of London and celebrations are held for Pi Day. In UIII pupils consolidate their Mathematics knowledge and begin to explore new topics such as algebra which will take them up to IGCSE. Initially, girls are taught in mixed-ability classes allowing them to settle in, before they are separated into divisions according to ability. This allows us to direct the most appropriate type and level of support to each individual. The first year of teaching culminates with an individual statistics project where girls construct and complete a survey on the ‘Typical Wycombe Abbey Girl’. By the end of UIV girls will have all the skills necessary to succeed not only in Mathematics, but in all of the many subjects that demand a good level of mathematical ability. During the Edexcel course, we develop and perfect the skills and knowledge required for IGCSE. New subjects such as differentiation are introduced and the content is taught in a variety of ways including investigative tasks, problem solving, group work and using ICT. It is vital that the pupils see mathematics in as many different contexts as possible to support them in subjects such as Physics and Chemistry. At this stage, our most able pupils go beyond the normal curriculum to study Additional Mathematics, an ambitious course which requires an exceptional level of understanding. Mathematics remains the most popular subject in the Sixth Form and with their IGCSEs behind them, girls have a wide variety of options in the Sixth Form including Edexcel courses in AS and A Level Mathematics, AS and A Level Further Mathematics, AS Additional Further Mathematics and the Sixth Term Examination Paper (STEP). Within these options we offer a wide choice of applied modules to create courses that best suit each individual and their choice of subjects. The topics mastered at IGCSE are extended and the girls’ understanding of them is deepened. Intriguing new mathematical concepts are introduced and explored, with the pupils encouraged to question, to think deeply and to challenge themselves, developing their powers of logical reasoning and increasing their confidence in working with complex ideas. The ability to speak, read, listen and write in a foreign language has never been of greater value than it is today. A knowledge of culture and the means to communicate with people around the world is an essential part of twenty-first century life. Across all of the languages offered at Wycombe Abbey, girls are equipped to de-construct news stories, appreciate national bias and get under the skin of a country to truly understand its people. The Department runs an annual Language Day which inspires interest in a range of modern languages. Speakers from GCHQ, the BBC, Channel 4, the University of Oxford and the University of Cambridge deliver talks to the girls exploring world politics and journalism. For girls who are keen to develop their range of languages and cultural knowledge, we have a dedicated team of experienced and qualified teachers who teach languages not delivered through our main curriculum. All teachers are native speakers who focus on cultural elements in every lesson to make sure that pupils have a linguistic competence that goes beyond grammatical accuracy. The languages currently delivered through private tuition are: Japanese, Italian, Russian, Dutch, Arabic and Hindi. In the past, we have also organised lessons in Swedish, Modern Greek, Farsi, Flemish and Swahili. For information on the main curriculum languages of Chinese, French, German, Italian and Spanish, please visit the individual subject tabs. Girls are introduced to significant figures, works and musical movements in the history of music from the 16th to the 20th century. They develop the skills to understand and interpret musical scores, to discern aurally and describe interesting musical features using the appropriate terminology. The girls also undertake pastiche composition exercises, use specialist ICT-based notation software and develop keyboard skills. Our approach starts with sound and aims to foster an interest in and love for music of all styles, to encourage further study. In PE, girls enjoy a diverse and dynamic range of team games, individual sports and aesthetic activities. All pupils develop physical potential, experience challenges and learn how to take personal responsibility and be a team player. The Department’s specialist teachers provide a high level of teaching and bring national level experience in Lacrosse, Netball, Hockey and Swimming. PE is compulsory for all year groups as well as being offered as an optional examined subject at GCSE and A level. 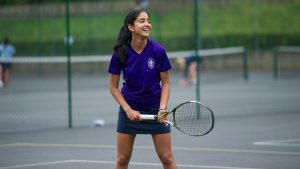 During the Autumn and Spring Terms, pupils experience skill-based practices and game play in Lacrosse and Netball, changing to Tennis and Athletics in the Summer Term. Within PE lessons every pupil also has specialist instruction in Swimming, Dance, Gymnastics, Athletics, Tennis, Rounders and Cricket. At this stage, pupils are introduced to a variety of new activities. These include a health-related fitness programme utilising our well-equipped fitness suite, along with sports such as Football, Tag Rugby, Badminton and Volleyball. LV pupils also participate in a competitive ‘multi-sports event’ and team-building tasks which focus on problem solving, communication and team work. A carefully supervised options programme is undertaken by UV pupils. 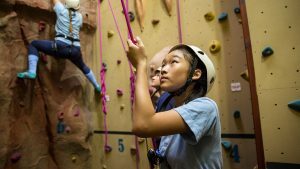 A balance of instruction and opportunity for self-motivation is provided in activities including Basketball, Climbing, Swimming, Dance, Tennis, Squash, Volleyball, Pilates/Yoga and fitness training. Pupils also have the option of using the fitness suite. Following the course syllabus, pupils choosing to study GCSE Physical Education learn about the holistic benefits of a healthy and active lifestyle and the impact that exercise has on the body and mind. In the practical element of the course, analysis of performance in a variety of activities will develop their ability as a performer, coach and official. The transfer of knowledge between practical and theoretical situations is a key feature of this course and encourages pupils to develop valuable learning skills applicable across many subjects. For exams in 2018 and beyond, we will be using the new syllabus found here. Sixth Form pupils have time allocated in their weekly timetable for Physical Education. We appreciate that by this stage, girls often have developed particular interests in certain activities, and they are given a wide range of choice to help them gain maximum benefits from this time. Options available include Swimming, Dance, Team Games, Tennis, Squash, Running, Kickboxing, Climbing, Yoga/Pilates and use of the fitness suite. Externally run workshops are offered throughout the term to expose girls to the many options for physical activities available to them when they leave school. The AQA syllabus for Physical Education at A level allows pupils to develop their knowledge across key areas underpinning sports science. These include exercise physiology, skills acquisition, sport psychology, historical developments in sport and contemporary issues that impact modern-day sports performance. This is a broad and challenging course with strong scientific content as well as discursive elements requiring personal investigation of different cultures and organisations. The domain of Physics ranges from subatomic particles to the movement of galaxies. Girls gain an understanding of how the world works and discover the laws and principles that govern how the universe behaves. Through learning to identify the complex causes of seemingly simple events, pupils develop resilience, perseverance and academic rigour. The Department consists of six specialist teachers, with a wide range of experience, from engineering to astrophysics. All lessons are taught by subject specialists in one of our three Physics-specific laboratories. 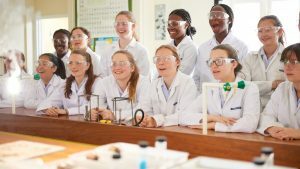 The Department oversees an extensive selection of enrichment activities including the British Science Association CREST Awards (Bronze, Silver and Gold), the Engineering Education Scheme, Go4SET (which links pupils with employers and universities), Science Live and visits to the Big Bang Fair in the NEC. Pupils have the option of joining the Junior Engineering Society which experiments with spaghetti bridge building, balloon helicopters and 3D printing. Girls are also encouraged to enter competitions such as the BPhO Physics Olympiad, the Experimental Olympiad and the CERN beamline competition. A biennial Sixth Form trip is run to visit CERN (European Organisation for Nuclear Research ‘Conseil Européen pour la Recherche Nucléaire’), where girls enjoy the opportunity to hear from researchers and gain first-hand experience of contemporary work. Pupils learn about essential physical concepts and how to carry out investigations in order to explore hypotheses. The value of applied Physics is demonstrated as girls consider the implications of nuclear power and design a pan made from paper to boil water in developing countries. During the Edexcel IGCSE course, pupils start to learn more advanced models for physical systems. They learn how mathematics may be used as a tool to make predictions and to understand observed effects. Practical work continues to be important and in a free-fall experiment, methods for taking accurate measurements are explored. In the A level AQA course, pupils are introduced to more complex physical models such as Quantum Physics and the Standard Model of Particle Physics. By this stage, their practical skills have developed such that they are able to plan and carry out an investigation, including research, selection of apparatus and safety. There is a strong problem-solving component to their learning, and pupils build the resilience required to tackle new applications of theory. Combining creativity with a solid scientific basis, Psychology offers Sixth Formers the opportunity to become confident, articulate and analytical scientific writers. The course combines prior GCSE knowledge in Humanities, Mathematics and Linguistics to give pupils a unique blend of skills. The staff bring a variety of specialisms in subjects such as gender, memory and biology and teach in well-resourced, conference-style classrooms. Pupils have the opportunity to join the Psychology Society which runs socials with partnering schools and leads discussions on films and current topics. The School’s annual Brain Day explores topics linked to abnormalities of the brain and, in the past, girls have had the chance to watch a live brain dissection with Dr Guy Sutton. Topical lectures are held at Wycombe Abbey and Eton College and the School enjoys close ties with Psychology Departments at The Royal Grammar School, High Wycombe and Canterbury Christchurch University. 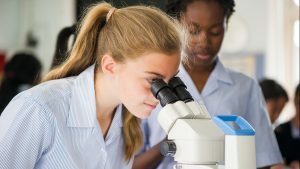 Drawing on experiences in GCSE Biology and Mathematics helps guide pupils through various research-based topics, while offering many chances for discussion, debate and independent research. A level Psychology works as well with other traditional sciences as it does with languages or the Arts. Topics such as conformity, gender, attachment, stress and research methods are approached from a cross-curricular perspective. Religious Studies is a dynamic academic discipline which encourages curiosity, independent thought and analysis through the evaluation of religious and philosophical traditions. The Department introduces girls to the precepts of six major faiths before considering the ethical and social implications of belief and non-belief in the modern world. The teaching staff have a broad variety of specialisms, ranging from theology and world religions to the philosophy, psychology and sociology of religion. As pupils move through the school, they are presented with opportunities to explore more abstract philosophical and theological concepts and are encouraged to enter a number of essay competitions, including the Trinity College Cambridge Philosophy Essay Prize, the Trinity College Cambridge Religious Studies and Theology Prize and The Edgar Jones Philosophy Prize (St Peter’s College Oxford). At GCSE, girls enter the Cambridge ‘Religion on Film’ competition. There is also a pupil-led Philosophy Society which discusses topics including the media and censorship. It has been fortunate to welcome prestigious speakers such as Simon Blackburn to the School. A foundation in the study of six major religious traditions (Buddhism, Christianity, Hinduism, Islam, Judaism and Sikhism), fosters a curious and reflective approach towards issues of religion, ethics and culture. The relationship between belief and practice is considered alongside ethical dilemmas and girls are encouraged to develop empathy for those who share different values. The OCR course teaches an analysis and evaluation of core beliefs and teachings in Christianity and Islam. Theological arguments for the existence of God, eschatology and scriptural authority are assessed as well as issues surrounding marriage, medicine, charity and censorship. The course considers the philosophical and ethical implications of faith in the modern world and the tensions encountered between secular and sacred worldviews. Through the A level course, girls develop a passion for the rigorous and critical study of related themes in theology, philosophy and ethics. New fields are introduced such as metaethics and Kantian ethics and the role of moral law in business and sexual practices is examined. Critiques of religion from Marxist and Freudian perspectives are studied and girls become familiar with the ideas that have shaped religious and philosophical thought for centuries. Learning the second most spoken language in the world opens young minds to rich, diverse cultures and offers professional opportunities across the globe. The Department comprises of six linguists, two of whom are Hispanic specialists and four teach additional languages. Spanish lessons are taught in one of the two Language Laboratories. Learning at all levels is very collaborative and the Spanish Club sees older pupils mentor younger girls, building up confidence and providing advice. As with other language subjects, the News Club allows pupils to discuss current events and political ideas. All girls benefit from the essay and debating competitions available. A level Study Days are held in London and pupils have the opportunity to attend debating competitions at a national level. Trips are also taken to destinations such as Granada and Salamanca. Pupils acquire the essential vocabulary enabling them to use Spanish in speech and writing. Insights into Spanish and Latin American culture foster interest and curiosity. For the Edexcel IGCSE course, girls who have already studied Spanish in previous years are taught in divisions. They will consolidate all they have learned previously and become increasingly fluent in their use and understanding of Spanish. A greater emphasis is placed on current affairs. Conversation lessons take place in small groups from the end of the LV. The AQA course helps pupils to acquire a deeper understanding of contemporary Hispanic societies by exploring cultural heritage through discussion, presentations, and the debating of controversial ideas. A great emphasis is placed on exploring current affairs from Castilian and Latin American points of view, providing a distinctive perspective on world events. Pupils learn to use Spanish in a variety of contexts and enhance their knowledge through an exploration of Hispanic literature and art. The Department works closely with academic and pastoral staff as well as parents to provide one-to-one lessons which take each pupil’s whole wellbeing into account. Girls also benefit from drop-in sessions where they seek advice on work from subjects across the academic spectrum. English support is given to girls for whom English is not their first language; this includes IELTS and IGCSE teaching for pupils who join the Sixth Form without a GCSE qualification in English. The School provides pupils with all the support they need to manage a successful transition to university and independent living. We aim to ensure that every girl is equipped with 21st century skills, ready to take her place in a globalised and rapidly changing world. Each year girls gain places at high-ranking universities on competitive courses. One third secure Oxbridge offers with the majority heading to Russell Group universities or prestigious Art, Drama or Music Schools. Increasingly girls are choosing to apply to universities around the world – US universities are proving particularly popular with offers coming from Columbia, Harvard, MIT, Princeton, Stanford and Yale. Girls benefit from a range of support in their higher education applications. A team of Specialist Sixth Form tutors is on hand to assist in all aspects of the application process, from choosing a degree subject to reviewing personal statements and writing references. The LVI receive a presentation from the Director of Admissions at the University of Birmingham on the UCAS system, and are introduced to traditional and non-traditional routes to universities during three university preparation days. These include presentations from universities in Europe as well as the UK. Academic departments run regular university preparation lessons where applicants are introduced to material far beyond the A level syllabus and undertake admissions test preparation. A comprehensive mock interview schedule gives girls confidence and experience before being called to interview by universities. Regular meetings throughout the Sixth Form inform girls about the UCAS Apply and Track systems, how and when to accept offers, and the UCAS Clearing process. Applicants to US universities have unrivalled support. This includes presentations from Admissions Directors from US colleges, an SAT/ACT tuition programme, talks from alumni interviewers, and an essay writing workshop. There is a biennial US universities tour and we have an in-house US Universities Fellow. Careers Guidance aims to inspire, inform and support girls at Wycombe Abbey in preparing them for their future career. Recognising that we live in a rapidly changing world where young people are likely to enjoy a series of careers in their lifetime (some of which in areas yet to be invented), we focus on empowering girls to take control of their own career path and equip them with the necessary skills, confidence and resilience. Throughout the year all girls have the opportunity to hear a variety of speakers at various careers events. Highlights in 2016 included the Careers Seminar, the Future Tech Careers event, showcasing a number of new and exciting areas such as alternative energy and biomedical engineering, and the ‘Breaking the Mould’ event, featuring inspirational female speakers including a commercial pilot, jewellery designer, structural engineer and a vicar. Every pupil at Wycombe Abbey is a member of Futurewise, which offers an array of courses spanning career areas from law and medicine through to journalism and media. The LIV have a dedicated Careers Day in the Summer Term to encourage them to start exploring possible careers. Girls engage with local businesses and hear talks from a range of different speakers such as entrepreneurs, engineers and authors. Pupils are also encouraged to use the Fast Tomato guidance programme and take part in the School’s Enterprise competitions. In LV, girls have careers-related sessions as part of the Wellbeing programme and are encouraged to explore areas of interest. In UV, there is a greater level of support to aid girls’ A level choices. Everyone takes the Morrisby Online Assessment which helps to explore different career and education options. The annual Careers Seminar brings together 25 speakers from a range of occupations and industries. Girls in UV have the opportunity to choose which two areas they would like to attend informal talks on and explore. This is an excellent opportunity to start their career networking. Girls in the Sixth Form attend The Careers Seminar every year as well as smaller scale targeted events looking at specific career areas such as investment banking, law, medicine, marketing and entrepreneurship. Girls also have access to practical workshops designed to support CV writing and preparation for work experience. The Careers Library is an excellent source of information, and is placed alongside the Higher Education resources. Girls’ career plans are tracked via tutors and the Careers Guidance Department so that any additional support can be targeted where there is most need. The vast majority of pupils at Wycombe Abbey undertake a minimum of two weeks’ work experience, one week during the summer following UV and a further week during the summer of LVI. While work experience is a necessity for some careers, such as medicine and veterinary medicine, all the girls are encouraged to take part; many will be looking for internships whilst at university and work experience is excellent preparation for this. Girls are encouraged to be proactive in securing their own work experience placements, although the School is fortunate to have parents, alumnae and other contacts who are able to offer work experience or work shadowing opportunities. The Sixth Form at Wycombe Abbey provides a supportive environment for girls to reach their academic potential, nurture their individual passions and navigate the range of opportunities available to them after they leave school. Whilst important, we want girls to leave Wycombe Abbey with more than just a set of excellent academic qualifications. We want them to be independent, self-motivated learners, intellectually curious and informed global citizens, and confident, caring role models. In short, we want them to be Future Ready. Whether a girl is an aspiring aerospace engineer, actor or anthropologist, there are many activities and resources available to help her pursue her passions beyond the core curriculum. Our enrichment activities allow girls the opportunity to follow their own lines of enquiry into the areas that interest them the most. Without the pressure of examinations, girls are able to take intellectual risks and build resilience. A flavour of the opportunities available beyond the classroom is below. Nearly all the subjects on the curriculum have their own academic society, which complement and enhance the learning that goes on in the classroom. These societies, many of which are pupil-led, organise visiting speakers, conferences and trips. A number of Activities Days see the girls taken off timetable for a fully immersive experience. Such activities allow for extended projects that would not be possible during normal lessons. For example, highlights from the biennial Science, Technology, Engineering and Mathematics (STEM) Day include an exhibition of a 9-metre-high rocket at School and a design-and-make-your-own-trebuchet workshop. We also organise a biennial Language Day, where pupils can sample a variety of languages, including Hebrew and Ancient Greek. Most recently, we introduced a Healthy Lifestyles Day, involving sessions on nutrition, relaxation techniques, physical activity and mental health awareness to highlight the need for a balanced lifestyle. Cross-Curricular Projects are a way for pupils to put to use the skills they are learning in academic classes, towards a bigger, broader project. A recent task included creating a school and girls had to deliver a three-dimensional model, logo, school motto and ethos. Mentors guided pupils through the process to meet the tight deadline of three days to submit presentations. Writing challenges are an excellent way to demonstrate initiative, passion and engagement with a chosen subject. Girls take advantage of the considerable resources in the library as well as the academic support available at the School. These opportunities for scholarship cultivate independent learning habits as well as skills of critical thought and enquiry. Some girls choose to enter essays into national competitions and often achieve success. Girls enjoy lectures from distinguished guests on a variety of cultural, social, political, ethical and economic matters. Recent speakers have included fine art wildlife photographer David Yarrow, renowned hypnotist Martin S Taylor, Britain’s most successful female rower Katherine Grainger, comedian and broadcaster Michael Palin, writer and journalist Jeremy Paxman, best-selling author and professional golfer John Hoskison and scientist Baroness Greenfield. These lectures assist in broadening horizons and extending and developing each girl’s knowledge outside of the classroom. Pupils also enjoy the opportunity to network with influential people from a variety of industries. Academic scholars are expected to produce a piece of original research or reflection over the Summer holidays. During the Autumn Term they present their ideas at the Scholars’ Presentation evenings, run by the Deputy Head (Academic), which provide thought-provoking discussion. Topics in recent years have included: Engineering Solutions to Water and Sanitation in the Third World; Le Front National; The Ageing Population; Killer Whales; a Speech in the Style of Cicero. We also hold Scholars’ Dinners and speakers at these have included Dame Carol Black, Principal of Newnham College Cambridge, and Professor AC Grayling, founder of the New College of Humanities. School Trips and expeditions are an integral part of the academic curriculum and a powerful tool to consolidate learning. We offer a huge selection of trips around the world and closer to home, which are designed to enable the girls to experience the world and gain a global worldview. Recent adventures have included skiing in Whistler, Geography trips to the USA and Iceland, a Classics tour of Greece, a History of Art tour of Italy and a Duke of Edinburgh expedition to the Yorkshire Dales. Our Science, Technology, Engineering and Maths (STEM) provision is carefully designed to prepare girls for careers in these important fields. We develop interdisciplinary awareness and give girls the skills and ability to adapt in a range of fields including the Sciences, Design Technology, Computing, Careers and Art. A full programme of STEM activities and projects are available to pupils of all ages. A selection of some recent highlights are outlined below. Junior Engineering Society meetings for the UIII are led throughout the year by the Engineering Society chairmen (Sixth Form girls) and involve highly enjoyable practical challenges. The annual two-day UIII STEM project involves an extended team challenge, offering the opportunity for the girls to flex their technical and scientific wings and draw on their creative and artistic skills, as well as their technical and scientific knowledge. For girls in UIV, there is the opportunity to take part in the ten-week long Go4SET project, run by the Engineering Development Trust (EDT) and sponsored by GlaxoSmithKline. GSK provides recent graduate engineer mentors who supervise and guide the teams, giving them a great insight into the life of an engineer, including site visits. The Engineering Education Scheme is on offer to LVI girls and is a six-month engineering project sponsored by a company, who also provides a mentor. The scheme culminates in the achievement of a Gold CREST award. In the past, we have worked with National Grid and also the Manchester X-ray facility, based at Rutherford Appleton Laboratories. This has given the girls a unique opportunity to design a rig to be used on the Diamond Light Source facility. The greenpower car project is open to all ages within the school and provides a unique range of opportunities from designing and building the car to driving it at venues such as Dunsfold Rise and Rockingham. Pupils use CAD software to design and test different car shapes in a virtual wind tunnel, get involved in the manufacture and development of the cars and stretch their troubleshooting abilities when things do not go quite to plan! STEM Day is a biennial event in which all pupils are taken off timetabled lessons to participate in workshops, activities, shows and lectures. Highlights of past STEM days have included a nine-metre-high rocket parked outside the Abbey for the day, a full-size hot air balloon on the Abbey lawn, ‘Bug man’, who enables pupils to handle a whole range of insects and reptiles, lectures by Simon Singh, Ben Goldacre and Matt Parker and a design-and-make-your-own-trebuchet workshop, including a bean bag battle and a fractal dome experience. The Thinkery is our Friday night club for girls in Years 7-9 (ages 11-14) where they can explore and debate a wide range of topics and interests. There have been fun (and literally explosive) science experiments, author visits, the opportunity to learn how to conduct, taught by a professional conductor, talks on Money and Power in US politics and Fractals: Beauty and Application, to name just a few of the activities for this group. 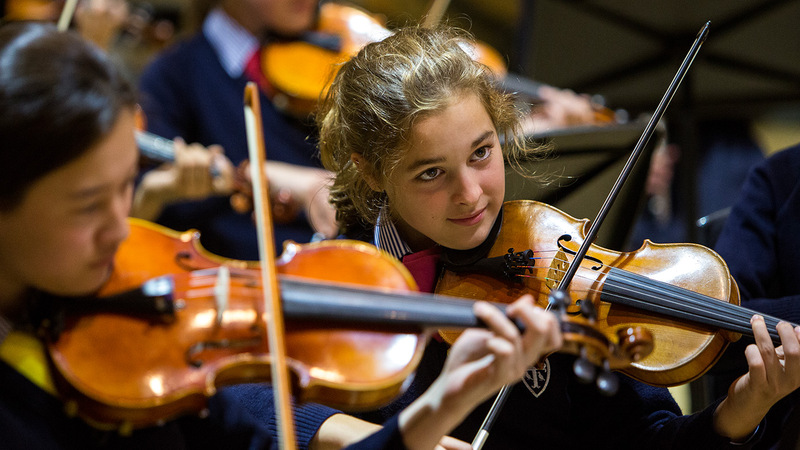 Girls at Wycombe Abbey enjoy a wide variety of interests and opportunities in the arts. 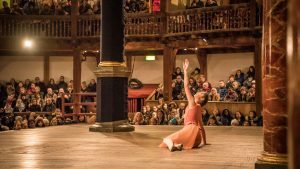 Last year more than half the school performed at Shakespeare’s Globe and nearly every pupil plays an instrument, if not two. As girls take part in extra-curricular Art, Dance, Drama and Music, they develop creativity, leadership and teamwork. The positive effects of their pursuits are felt in all areas of school life. Art is a vibrant subject at Wycombe Abbey, offering a wide range of activities beyond the formal curriculum. The girls are exposed to artistic techniques and skills, and are involved in artistic projects and discussions about the role of art in society. Led by a specialist in black and white photography, digital media and painting, the opportunity to get involved with photography as an extra-curricular activity is offered to Sixth Form pupils. Using Pentax SLR Cameras girls explore different creative and experimental techniques as well as process and print methods. Photographers have the use of a custom-built dark room which is fully equipped for black and white photography. Whole school competitions also encourage younger girls to get actively involved in taking pictures. Our annual publication, Perspective Magazine, showcases photography highlights from all age groups. 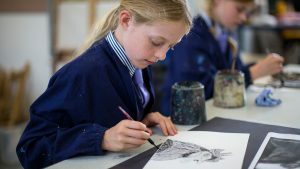 The Artist in Residence encourages an enthusiasm for art and design, while teaching the lower school and providing the girls with first-hand experience of how a professional artist works. Our current Artist in Residence, Claudia Phipps, is a glass artist whose work spans the spectrum of architectural glass from stained glass, engraved and fused glass, through to installation and sculpture. Claudia teaches masterclasses in glass etching, painting, batik and silk painting. Girls have the opportunity to take part in a range of creative workshops, broadening their knowledge and appreciation of art and design. Weekend workshops are run by visiting artists with skills and expertise in specialist fields. Subjects include silversmithing, glasswork, 3D textiles, wood carving, mosaic, paper art, fashion upcycling and screen printing. Dance is very popular amongst pupils at Wycombe Abbey. We have an extensive extra-curricular provision including Ballet, Tap, Modern, Jazz and Street Dance and dance specialists lead several weekly Dance Companies. 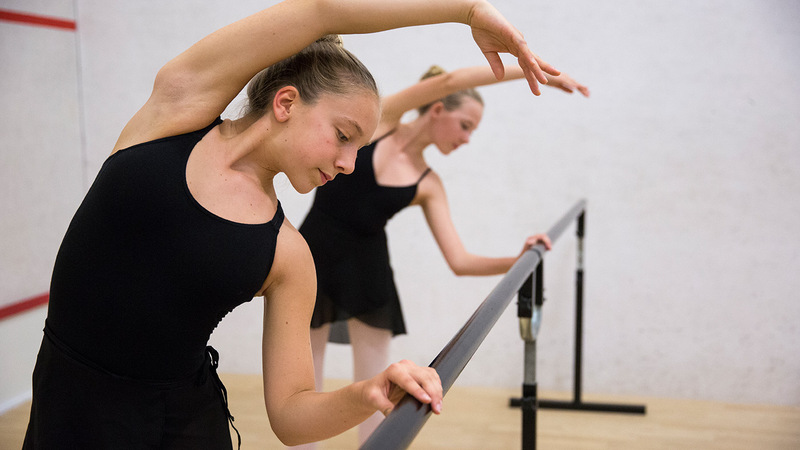 Within our purpose-built Sports Centre, girls have access to an impressive dance studio and smaller practice areas. The annual House Dance Competition displays pieces choreographed by each House around a given theme. 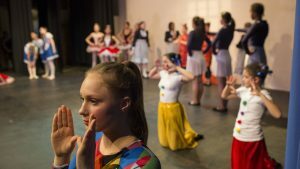 A Junior and Senior Choreography Competition invites girls to produce their own solo or group piece. 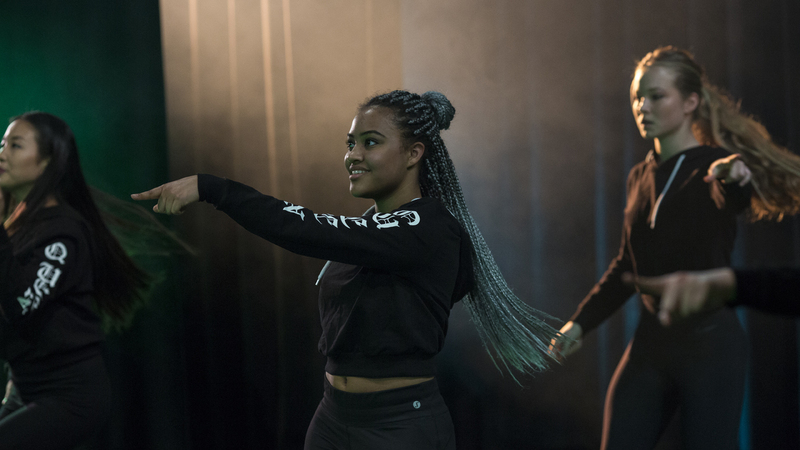 Our annual dance show, Highlights, is an opportunity for girls to perform the work that they have choreographed in Dance Companies, as well as pieces worked on with a member of the dance department. The production demonstrates talent across age groups through a multitude of dance genres. Tap, Modern, Ballet and pointe are offered in individual or group settings. Girls study Imperial Society of Teachers of Dancing (ISTD) Tap and Modern or Royal Academy of Dance (RAD) ballet qualifications from Beginner through to Advanced and vocational levels. Workshops with visiting performers from the Rambert Dance Company provide further expertise. Girls are encouraged to attend summer schools and day courses outside school to extend their knowledge of their chosen dance genre. With close proximity to London and the local High Wycombe theatre, girls have the opportunity to watch performances from The Royal Ballet and touring companies such as the Russian State Ballet, in addition to the more contemporary Mathew Bourne’s New Adventures Company. For our highest level performers. Girls who study ballet are invited into these Companies to rehearse and study choreography. An optional group arranged by the PE Department for the UVI with an emphasis on fun, fitness and enjoyment. An extra-curricular choreography group for girls in the junior year groups. A group of intermediate level dancers focusing on technique improvement and development with a view to progress to Advanced Dance. Each Company is non-selective for those wishing to study modern dance and lyrical choreography. A pupil-led group which holds auditions and collectively choreographs pieces. A teacher-led group for girls of all ages. 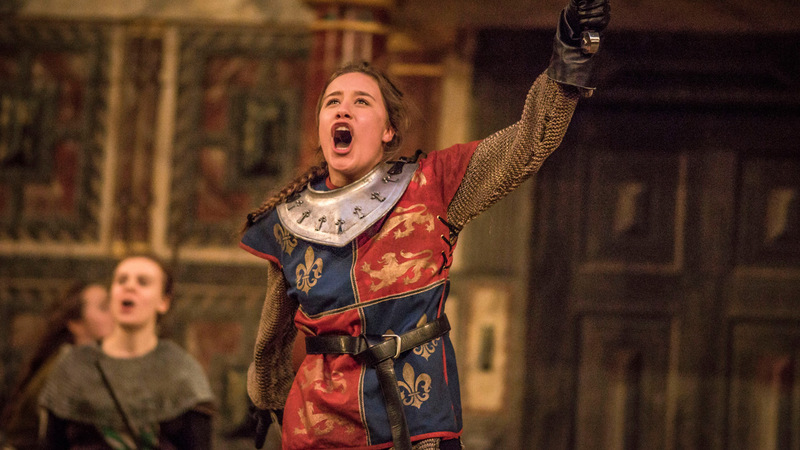 Girls at Wycombe Abbey develop a wide range of skills in the area of the dramatic arts as performers, writers, directors, stage managers or costume designers. Pupils learn to be adaptable and flexible and to think creatively while working collaboratively to achieve a shared outcome. Our Lancaster Arts Centre has a 430-seat theatre. The theatre is fully equipped with sound and lighting facilities. There is also a green room and a generously stocked wardrobe. All girls are encouraged to get involved and develop confidence through performing. Each year the UIII and LIV take part in a joint production and the LV enjoy an inter-house play competition, during which the girls write, design, direct and market a play arising from a stimulus set by the Head of Drama. The Sixth Form play is produced annually and is directed by the Head of Drama. We also stage a Drama Society Production which is written, directed and performed by girls of all ages. In August 2015, we took our GCSE Production of Be My Baby to the Edinburgh Festival and were awarded a 4-star review. In March 2016, we staged A Shakespeare Soiree at Shakespeare’s Globe Theatre with a cast of 220 incorporating drama, dance, choral and orchestral music to commemorate the 400th anniversary of Shakespeare’s death and 120 years of Wycombe Abbey. In recent years girls have also successfully auditioned for the National Youth Theatre. 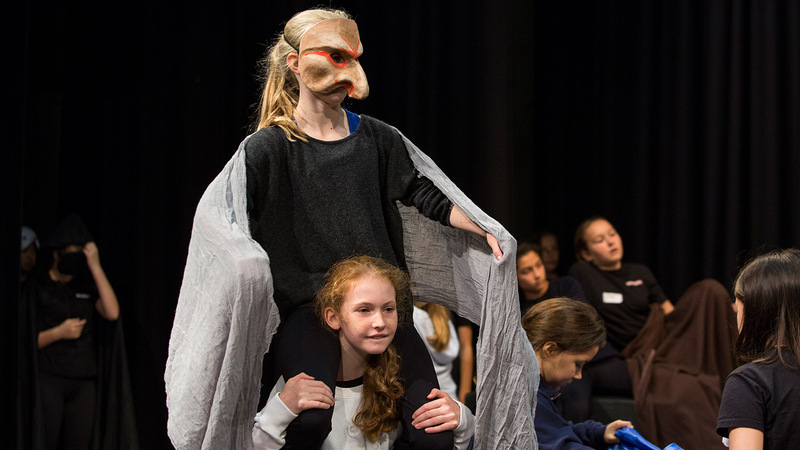 Speech and Drama is taught in small groups, pairs and as solo lessons for girls working towards LAMDA examinations; it emphasises the value of teamwork, co-operation and creativity. We encourage an understanding and enjoyment of poetry, prose, published and improvised drama, and other theatrical arts through performance. Girls develop an awareness of the stage space and the skills needed in communication as they perform a variety of pieces. There is a rich and frequent programme of workshops and masterclass opportunities. In the past, these have included the Frantic Assembly Workshop for GCSE girls, a two-day acting and puppetry workshop with Gomito Theatre Company and a bespoke workshop provided by Gecko Theatre Company. We regularly invite professional actors to give talks and lectures. Recently speakers have included actor Simon Russell Beale and former Wycombe Abbey pupil, Natalie Simpson. 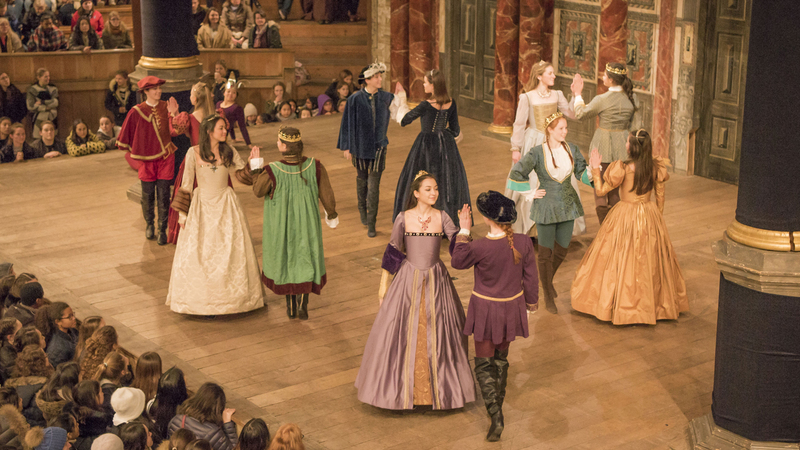 As the School is located close to London, Stratford-upon-Avon, Oxford and the local theatre in High Wycombe, pupils have the opportunity to attend theatre productions on a regular basis. Previous trips have been organised to see Romeo and Juliet at Shakespeare’s Globe and 1984 at Creation Theatre, Oxford. 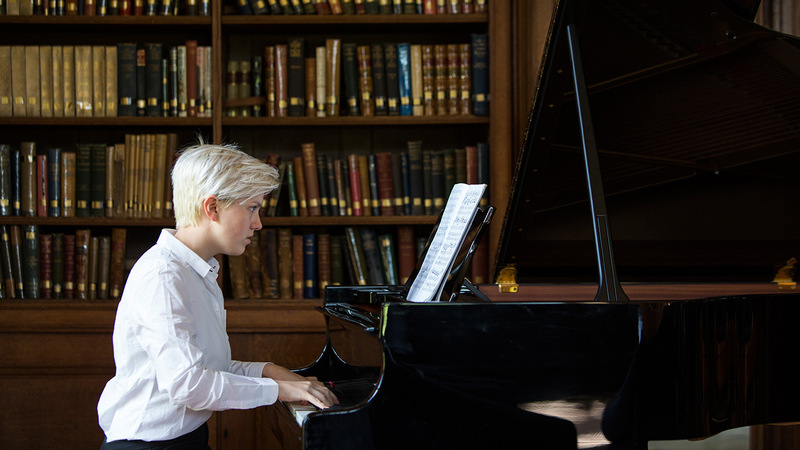 Music is an important part of life at Wycombe Abbey. We believe all girls, whatever their level of skill, should be able to experience music making, both individually and collaboratively. Nearly three-quarters of the girls play at least one musical instrument and many study two or even three. The School’s strong tradition of singing is reflected in annual choral concerts and frequent musical productions. We have three orchestras (Symphony, Sinfonia and String Chamber), string, wind and vocal ensembles, a choral society and four choirs. Professional musicians are regularly invited to perform and give masterclasses. We constantly strive to find new ways to inspire and stretch the School’s musicians. The Performing Arts Centre is a modern complex with a 200-seat auditorium that is equipped with the latest technology and acoustics. There are 30 individual music practice rooms available throughout the site. Girls play in small groups, sing in choirs and play in the orchestras, with opportunities to perform at School, locally, nationally and internationally. All girls take part in the annual House Music Competition, House Chapel Services and weekly Whole School Singing sessions. The House Music Competition, adjudicated by external judges, has three stages, divided into a musical ensemble round, a House singing round and a solo round. Informal concerts are held each week, providing an opportunity for girls to perform in front of a small, supportive audience. 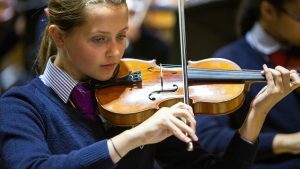 Major concerts include the Archer Concert, featuring a varied programme of orchestral, chamber and solo repertoire, Orchestral Concert, held at an external venue and featuring the three School orchestras and advanced concerto soloists, Chamber Music Concert, an opportunity for our many small music groups and the Summer Concert, involving all of the School orchestras and many small groups in a largely light programme. We are active locally and perform three community concerts and several carol singing events each year. Our two senior orchestras perform with soloists at professional external venues, which have included St John’s, Smith Square, London, Royal College of Music, London and the Sheldonian Theatre, Oxford. We take part in a joint Choral Group Concert with Eton College. 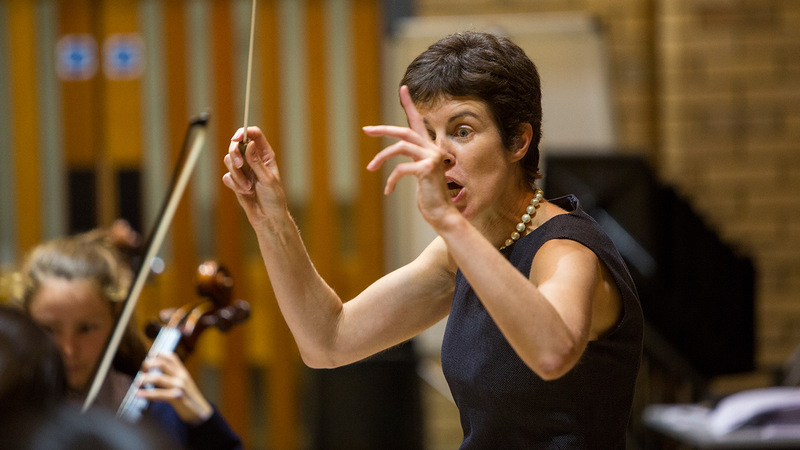 The Chapel Choir and Chamber Orchestra undertake a biennual tour to Europe. 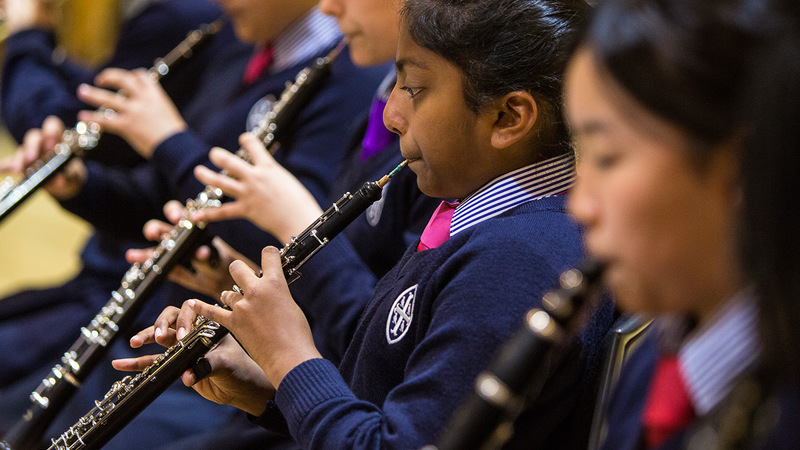 Our 40 full-time and visiting music staff deliver lessons to two-thirds of the girls. Individual tuition is available in piano, voice, violin, viola, ‘cello, double bass, harp, guitar, flute, oboe, clarinet, bassoon, saxophone, recorder, trumpet, French horn, trombone, tuba, drum kit and orchestral percussion. Termly ABRSM examinations are held at School and girls achieve success up to Grade 8 and beyond, including performance diplomas. Some girls take Trinity and Rock School examinations at local centres. 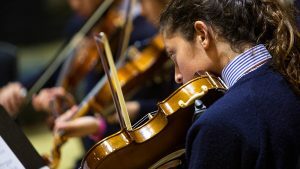 We offer support and mentoring to elite musicians who play at an advanced level to help the girls balance their academic, practice and performance commitments. Many girls are also successful in open competitions, winning Choral Scholarships at Cambridge, and in gaining selection for the National Youth Orchestra. A wide range of masterclasses and workshops are led by notable musicians, singers, composers and academics. These include a composition workshop and talk by local composer Charlotte Bray, who has written for the world’s leading musicians and orchestra (including two BBC Proms commissions), a jazz and improvisation workshop for all woodwind and brass pupils by the Pete Long Big Band, leading musicians from Ronnie Scott’s, a piano masterclass by Vanessa Latarche, Head of Keyboard at Royal College of Music, a choral masterclass by Joyful Company of Singers, one of Europe’s top amateur choirs, and a masterclass and performance by professors and students at the Royal Northern College of Music. There are a variety of competitions on offer to help stretch and develop musicians. Our biennial music essay competition is open to all pupils. Themes have included music in response to war and conflict zones and music that inspires. 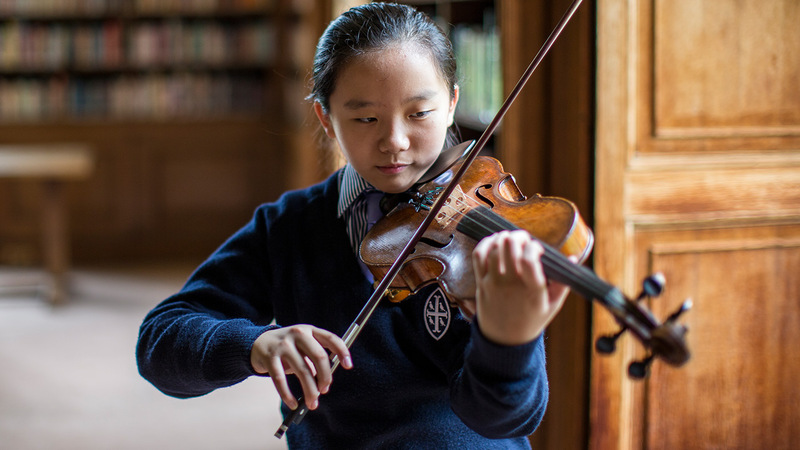 The Annabel Choy Competitive Composition Concert allows girls to compose a piece of music which is then performed by pupils throughout the School. The Music Society exists to organise trips to concerts. Recent performances include Tasmin Little/John Lenehan, London Philharmonic Orchestra with Nicola Benedetti, London Symphony Orchestra with Denis Matsuev and the London Philharmonic Orchestra with Milos Karadaglic. For performers who are Grade 8 and above. It tackles full orchestral repertoire as well as concerto movements featuring soloists. For string players who are Grade 8 and above, with guest woodwind and brass when necessary. The orchestra performs string orchestra repertoire and Classical symphonies as well as concerto movements featuring soloists. For performers who are Grades 4 to 7. The group plays arrangements of full orchestra repertoire. An instrumental ensemble for all UIII orchestral musicians. Senior ensembles for advanced woodwind players. They perform their own challenging arrangements as well as combining together and with rhythm section for large-scale performances. For performers between Grades 4 and 7. They play fun arrangements of film music/pop songs. For girls in LV to UVI, this choir leads singing in Chapel Services, and key services throughout the year. Membership is by audition. This choir is auditioned from members of the Chapel Choir. It is an elite 12-voice a cappella ensemble, singing complex sacred choral music, secular close-harmony and barbershop-style pieces in concerts throughout the year. This choir is open to all girls in LIV to UIV. They lead singing in Sunday Chapel Services. For girls in UIV to UVI, this choir joins Eton Choral Society to perform one major choral/orchestral work in March each year. A choral ensemble for all members of UIII. An auditioned, girl-led, Gospel choir. There are a large number of chamber ensembles, which currently includes several string quartets and piano trios, piano groups (eight hands at two pianos), jazz group, ‘cello ensemble, flute ensemble, oboe trio, and harp and flute duo. We have three school rock bands which perform at social events throughout the year hosted at Wycombe Abbey and Harrow School. Wycombe Abbey has an impressive sporting reputation. Our extensive sporting facilities and the dedication, experience and high calibre of our coaches support each girl to follow her sporting ambition. In 2015/2016 we reached 16 national finals across eight different sports, along with success at international, regional and local level. In 2017, and for the second year running, we were listed among the top ten UK independent schools for sport by School Sport Magazine, ranking eighth overall and the third best girls’ school nationwide. We have exceptional outdoor and indoor facilities including five lacrosse pitches, a grass athletics track, three rounders pitches, a floodlit astroturf pitch, a full-sized football pitch, indoor and outdoor netball courts, par three holes around the grounds and 20 tennis courts. The Davies Sports Centre includes a 25-metre six-lane indoor swimming pool with touchpad timing and water polo scoring facilities, multi-use sports hall, dance studio, fitness suite, four glass-backed squash courts, fencing piste and climbing wall. Inter-house competitions are organised throughout the academic year with a varied programme of indoor and outdoor activities. House Sports Captains lead the training and trials, followed by competitive matches and House finals at the end of each term. 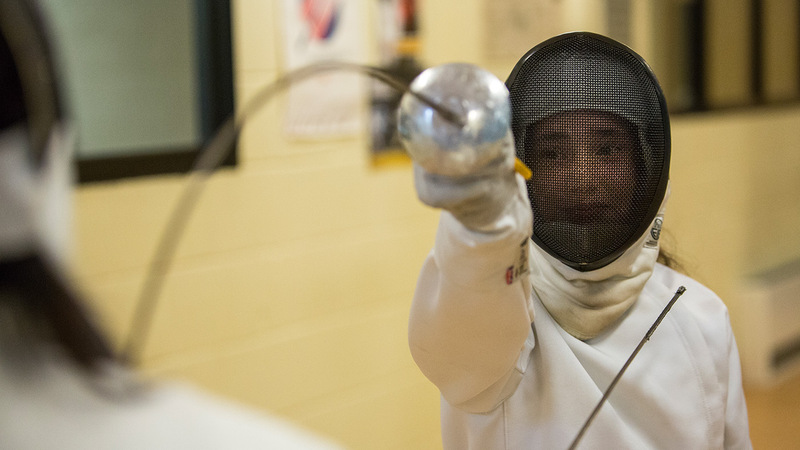 Girls have the opportunity to participate in both competitive and leisure activities. Those who are members of competitive teams are involved in weekly fixtures against local schools and within national leagues, hosted both on site and at external locations. Additional coaching for specialist activities is available to broaden sporting experiences from martial arts, water sports and equestrian activities, to golf, fencing and Pilates. Teams and individuals gain national and international titles across a range of sporting disciplines. Girls with advanced ability and potential in their sporting talent are invited to join our mentor scheme, the Elite Athlete Support Programme. Selection is sport-specific, and based on the standards associated with county, regional or national level participation. We provide girls with the support needed to pursue sporting excellence in an educational environment. Mentoring is provided by a PE staff member with expertise in the individual’s sport. The mentor will advise on goal setting, time management, nutrition, injury prevention and relaxation techniques. They meet regularly to discuss progress of training programmes and management of academic commitments. Effective leadership is a key element of sport and influential in developing confident and independent young women. The Sports Leaders qualification develops enhanced organisational and communication skills, heightened self-esteem and motivation, as well as an appreciation of challenges faced by others. The programme is designed to inspire the girls to have an active role in our School and community life. We offer two nationally recognised qualifications, Level 2 & 3 Certificate. For the Level 2 Certificate, girls volunteer to support the smooth running of school fixtures and in small groups, lead a sports event for community members and pupils from local schools. The course is designed to develop leadership qualities through theoretical and practical experiences and girls are taught the key skills of communication, organisation and safety and risk assessment. The Level 3 course takes two years to complete and begins during Lower Sixth games lessons. Girls are required to understand the needs of a range of community groups, such as children, disabled people, community groups and the elderly. They plan and lead a sports event for one of these groups and complete a total of 30 hours’ volunteer service. Tours abroad are available to girls to build upon their sporting achievements and team spirit. Trips consist of tactical workshops, strength and conditioning, team training and an opportunity to participate in competition at the most advanced level. Junior netball players annually attend the Spanish Netball Festival, La Manga, and Senior lacrosse and netball players have toured the USA, Caribbean and Australia, with trips taking place biennially. The School also organises trips to watch international fixtures such as the Lacrosse Women’s World Cup Festival and the International Netball Quad Series. 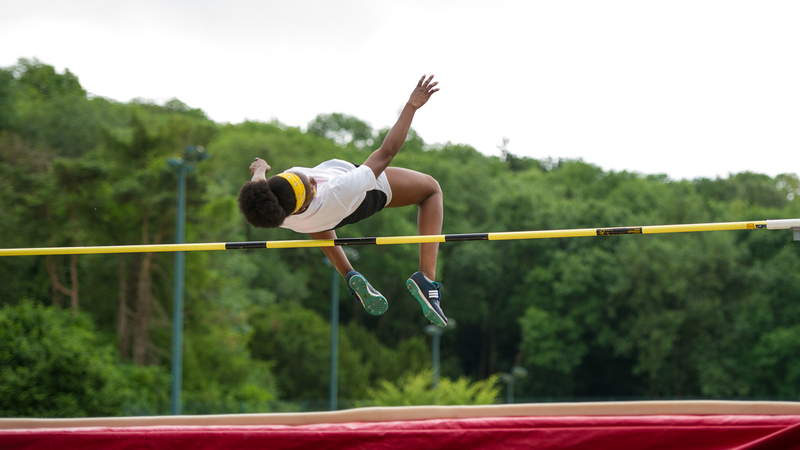 Athletics forms part of the Summer Term curriculum, with clubs and competitions regularly taking place. Our competitive team trains throughout the year with Marlow Athletics Club, gaining additional professional coaching. The School’s expansive and undulating location is ideal terrain for cross-country and long distance athletes to prepare for their events. Skills are learnt during regular lessons and developed during the weekly recreational club. Basketball is a popular team sport as part of the curriculum and is an extra-curricular club through the winter. Our excellent climbing wall gives the School the opportunity to run an extra-curricular activity and club which provides training for all levels of climbing. 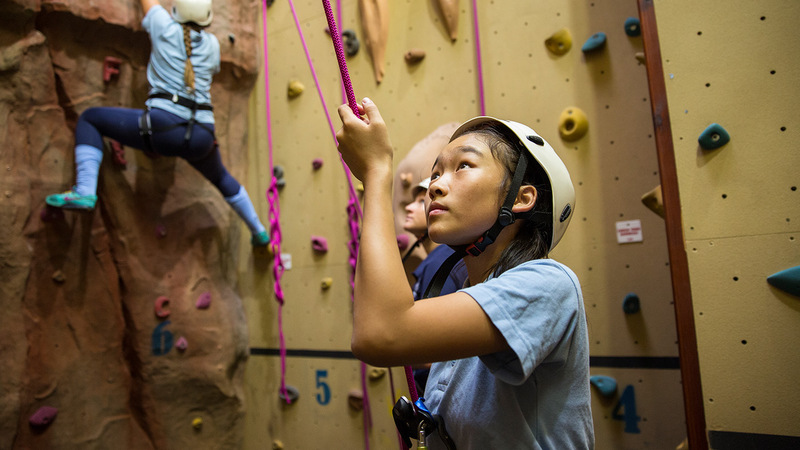 Through developing relevant rope and knot skills, girls learn to take responsibility for one another on the wall. 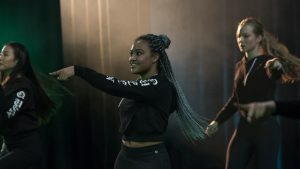 Years UIII-LV study dance within curriculum PE with lessons focusing on a variety of dance styles including street dance, Scottish country and social dance. All dances encourage the girls to develop their own choreography skills. Two international coaches offer coaching for girls from novice to international competition standard. Girls are able to take part in local, regional and national events with many competing in the Public Schools Championships. Training sessions run throughout the year, building on skills learnt in curricular lessons. Girls compete in the Independent Schools Cup at both 11- and 7-a-side events, with some selected for the U18 Independent Schools Football Association team. Girls have gone on to achieve contracts from local football clubs. In addition to a curriculum option for senior girls, extra lessons take place at Wycombe Heights Golf Club. Girls experience competitive golf from pre-handicap competitions to the Independent Schools Challenge Bowl. We have developed par three holes around the School grounds to enable girls to practise at their leisure. In addition to the curricular gymnastics, we have a popular club which runs year round. This training environment gives girls the opportunity to further develop skills, enabling them to perform at school and national competitions. Hockey is played in the Autumn and Spring Terms, both in lessons and through squad training. Teams compete regularly against local opposition, and girls wishing to play regularly are linked to Wycombe Hockey Club, with many progressing to county and regional squads. Riders have access to lessons and hacks on weekday evenings and weekend afternoons at Checkendon Equestrian Centre, Shardeloes Farm Equestrian Centre and Windsor Great Park. Throughout the year there are weekly on-site karate sessions and additional training opportunities at the Elkai Karate School, London. Kickboxing & Muay Thai Boxing international-level instructors inspire the girls to develop martial art and self-defence skills. Official grades are undertaken by girls of all abilities, with kickboxing beginners working through to black belt level during their time at School. Lacrosse is thriving at Wycombe Abbey. On our staff, we have two Senior England players amongst our PE staff, including the captain, and the manager of the Scotland team who provide unrivalled teaching expertise. Girls are coached from beginner through to international level with players being selected for county, regional and the national U19 programme. 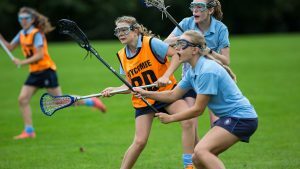 Lacrosse is played during the Autumn and Spring Terms and we compete annually in regional competitions and the National Schools Tournament. Netball takes place throughout the Autumn and Spring Terms across all age groups through curricular and extra-curricular time. Many of our coaches continue to compete themselves and are able to share a wealth of training and competitive experience. We play matches as part of local, regional and national leagues and have regular success in national competitions. Pilates is offered throughout the year and is particularly popular with senior girls as a safe, effective form of body conditioning. Riders with any level of experience can attend weekly sessions throughout the year with coach JJ Spark at Greenpoint Polo. Girls of all ages represent the School on grass pitches and in arenas at the Schools and Universities Polo Association (SUPA) National Tournaments. Rowing opportunities are offered at Dorney Lake, the London Olympic Games 2012 venue, and on the River Thames at Henley Rowing Club. Coaching is available for all abilities, from beginners to those wishing to develop their skills for competition. Girls enter the Independent Schools Ski Races (Les Deux Alpes) and the British Schoolgirls’ Races (Flaine) each year. Our PE Department trip leaders hold a BASI Ski Instructor License and are assisted by at least two ski race trainers from Flaine. We use the Snow Dome, Milton Keynes, facilities and the girls have two training days in the Alps prior to each competition. National level coaches lead our squash programme with many girls choosing additional private coaching. Our professional coaches continue to compete nationally and internationally providing girls with sporting role models. Squash is part of our curricular and extra-curricular programmes and we hold a weekly recreational club for girls wishing to play for leisure, fitness or competitively. Our Aquatics programme covers swimming technique, life-saving, synchronised swimming and water polo. Additional clubs and squads are offered throughout the year with recreational pool time available for leisure or personal training use. Wycombe District Swimming Club and Bourne End Swimming Club provide unrivalled coaching provision for our high performance swimmers. Weekly galas take place against local schools, as well as entry into regional and national leagues. 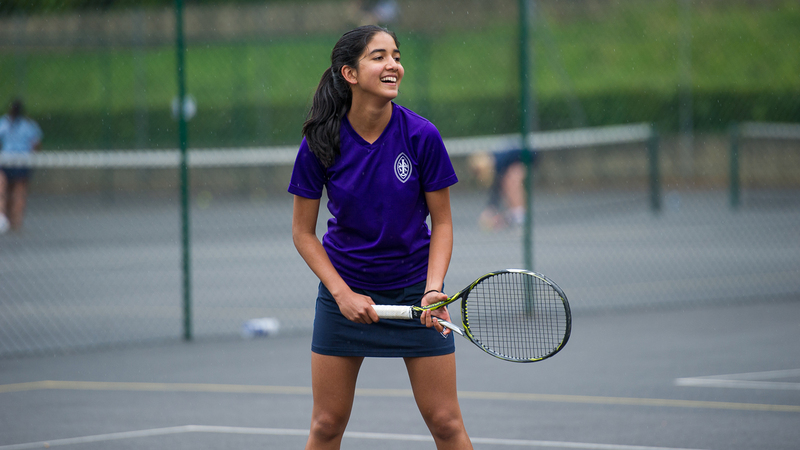 Tennis is a year-round sport for beginners and more advanced players at Wycombe Abbey. Living Tennis (www.livingtennis.co.uk) have been the sole tennis providers since 1 January 2018 and deliver all tiers of coaching at the School. Starting at the ETC (Extra Tennis Coaching) level, the girls can progress to two-tier Living Tennis Academies: School Academy and Junior Academy. Further advancement for elite players can then be provided within Living Tennis’s own Delgado and Lee Pro Academy at Bisham Abbey National Sports Centre. School fixtures are played throughout the summer against local schools, and we compete to a high standard in the Aberdare Cup, National AEGON League, Buckinghamshire Cup and the Independent Schools’ Championships hosted by Eton College. In addition to lessons, many girls enjoy participating in the trampolining club and developing their skills for competitions. Girls progress as they work through the official BG (British Gymnastics) Levels with specialised School equipment – an overhead rig with a twisting and tumbling belt for support. Girls compete at the annual School event and Buckinghamshire Schools Competition. Volleyball is a popular recreational and social club throughout the Autumn and Spring Terms. A strong leadership and service ethic is an intrinsic part of Wycombe Abbey life. Each of the programmes available offers girls an opportunity to serve others, share gifts and talents, and discover how rewarding this can be. Leadership skills are developed and girls become active and responsible global citizens who are inspired to make a positive difference to the world. A volunteer pupil role, Charity Champions select charities to support and arrange fundraising activities, learning about what makes a good charity. In the past, girls have organised bake sales, fashion shows and sold home-made gifts to help a range of local, national and international charities. 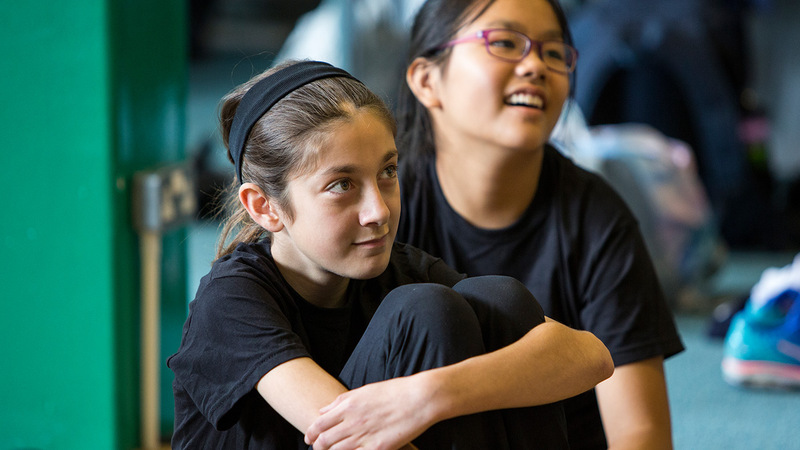 Through debating girls learn to express their ideas and build constructive arguments, offering rebuttals and presenting relevant points of information. All pupils are able to join either the Junior or Senior Debating Societies which meet weekly to discuss current events and develop debating skills. There are many opportunities for girls to take part in competitions and in the past these have included the Churchill Public Speaking Competition, the Rotary Club’s Youth Speaks Competition, the English Schools Mace and the Oxford Schools Debating Competition. Named after the School’s founder, Dame Frances Dove, the Dove Award is a service-oriented scheme for all LIV girls. Girls participate in a diverse range of challenges from research, personal achievement targets and assisting a charitable enterprise to undertaking a survival exercise and a night spent camping in the School grounds. Successful completion of the Award prepares girls for participation in The Duke of Edinburgh’s Award programme. The Duke of Edinburgh’s Award programme is about setting girls on a path to a productive and successful future, and an Award at any level is a valuable addition to any university applications. Girls develop the skills and attitudes needed to become rounded and confident adults, qualities that employers also value highly. We offer the Bronze level to the LV and the Gold to the Sixth Form. A mix of politics and current affairs; over the academic year girls attend a number of conferences in the UK and abroad, representing different countries’ views in a range of committees and debating hot global issues. Every delegate is exposed to a range of key skills, including rating and amending resolutions in the United Nations style and how to work as an effective advocate and diplomat. Recently, a group of girls beat 104 teams from across the world to be placed first in the St Andrew’s International Model United Nations hosted in Ireland. Girls have many opportunities to take the lead, make their voices heard and contribute to the running of their School. The School Leadership Team comprises the Head Girl and two Deputies. The Head of each of the nine Senior Houses is also a School Prefect, and takes responsibility for organising activities. There are also Prefects who take responsibility for the major areas of School life like Drama, Sport, Charity, Music and Chapel – and for each of the year groups. All the LVI take responsibility in House for activities such as House Music, Charity and Sport. Across all year groups, elections take place annually to elect a year group representative to communicate their views at School Council and shape new initiatives. All girls in UVI serve the local community through a variety of volunteer roles in local playgroups, retirement homes and secondary and primary schools for disabled children. 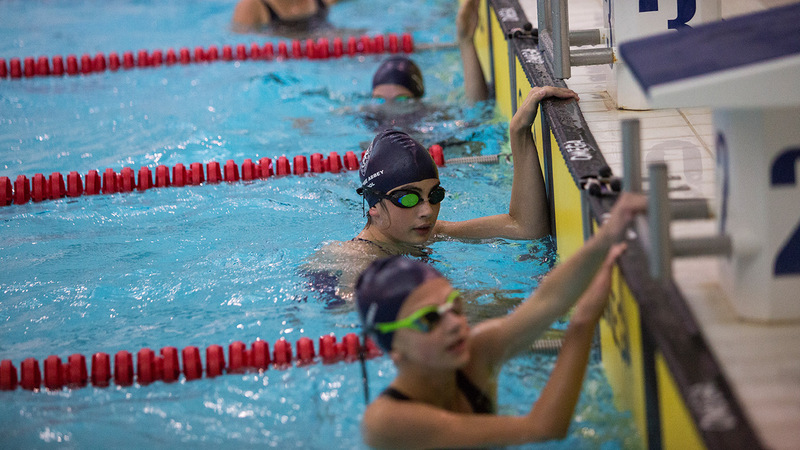 Girls can also choose to help students in weekly sessions at Cressex Community School and support regular swimming lessons led by Horizons, a local sports club. We recognise that members of the next generation will have many different careers during their lifetime. Many girls may also be inspired and empowered to run their own businesses. In preparation for this, Wycombe Abbey aims to nurture a globalised and entrepreneurial worldview. Joining the National Young Enterprise Scheme provides an opportunity for girls to start a company and run it for eight months. Budding entrepreneurs get involved in everything that a real business would, from choosing a name, deciding on what products to make and sell or what services to offer. 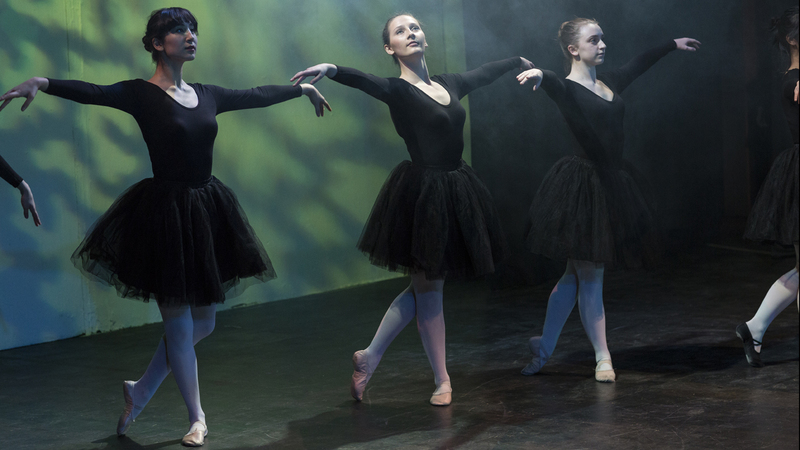 As company members, pupils gain skills such as business planning, problem solving, delegation and basic accounting. The Coca-Cola Real Business Challenge is an exciting enterprise competition that invites all LV girls (Year 10) to tackle a business task set by Coca-Cola European Partners. It is an engaging opportunity for the whole year group to develop enterprise skills and pitch their own business ideas against other teams and schools. In 2015, the Wycombe Abbey team was victorious as National Champions, winning a digital workshop to develop their app. Girls answered a brief to develop an awareness campaign for Special Olympics Great Britain (SOGB). The challenge included the delivery of a number of campaign elements from a bus stop poster (which we were excited to see on the bus stop outside the School) and fundraising proposal to a fully working app. Working in tutor groups, UIII girls (Year 7) are given a budget of £15 to create a new product or upcycle and transform an existing product. Parents are invited to come shopping and the girls are tasked with making as much profit as possible within one hour. Sales this year raised over £900. We look for opportunities to bring real-world business opportunities into the School wherever possible. For example, girls were challenged to interpret a creative brief to design a visual identity for our new School café, The Courtyard. They were asked to suggest a logo, colour scheme, choice of fonts and application to items such as signage, cups and menus. As part of this process, girls had to consider what makes a good identity, carry out research and consider the context. The winning designer was invited to the Monogram London branding studios to experience the design process and create her image professionally. 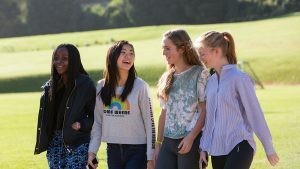 Global Opportunities is an exciting new venture at Wycombe Abbey that aims to enable every girl to develop the life skills essential for succeeding in a globalised world, building awareness and capability for a future as global citizens and leaders. This is an evolving and expanding programme and one of the most important aspects of the initiative is to build relationships and links across the world. The Amnesty International Society is a thriving, pupil-led group with a commitment to helping the Amnesty cause. The society meets weekly to discuss human rights issues, arrange fundraising events and to consider ways of raising awareness around the principles adopted by Amnesty International. The Society has been privileged to receive visiting speakers from the world of human rights. Each year a School Delegation represents the UK at the Asia Pacific Young Leaders Summit in Singapore. This ten-day international conference for pupils from across the world offers an unrivalled opportunity for dialogue and debate between young people on a range of global issues. Girls gain a deeper understanding of how to be an effective leader and create positive change through public service and civic engagement. There are many opportunities to network and engage with distinguished leaders in the government, non-profit and private sectors. To increase girls’ knowledge and awareness of international festivals there are a number of large School celebrations such as Thanksgiving, Chinese New Year and the Songkran Water Festival. The School also holds a number of events to mark important occasions including Black History Month and International Human Rights Day. For International Women’s Day, girls and parents have been invited to hear talks from esteemed speakers such as Aung San Suu Kyi. Wycombe Abbey enjoys a relationship with the first girls’ boarding school in Afghanistan, the School of Leadership Afghanistan (SOLA). During mutual term times there are weekly sessions where a group of Wycombe Abbey girls interact with SOLA students, having discussions on issues such as life in Afghanistan compared to Britain and working on collaborative projects such as researching and developing a proposal on how to improve the lives of girls in a particular country. This sharing of ideas is an insightful experience for all involved and has inspired the creation of a club dedicated to building the relationship between the two schools. Wycombe Abbey also supports SOLA by helping with tuition in technical subjects such as Chemistry and Maths and providing teacher mentoring.